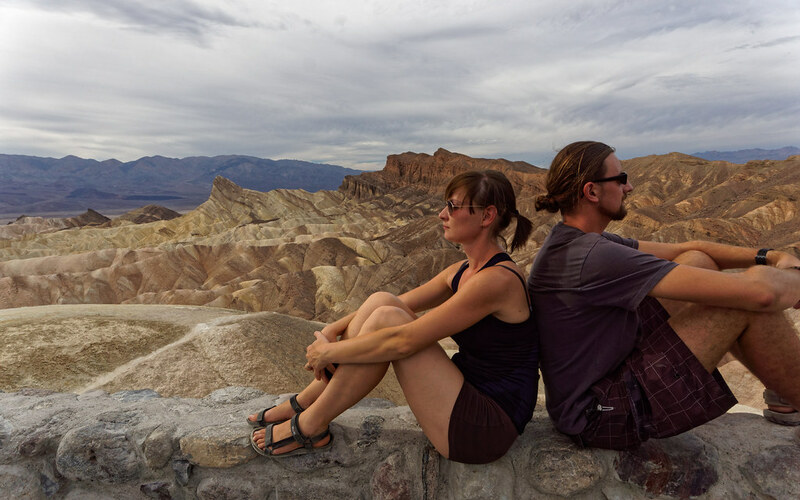 Interesting and lively cities are just one of many amazing faces of US. 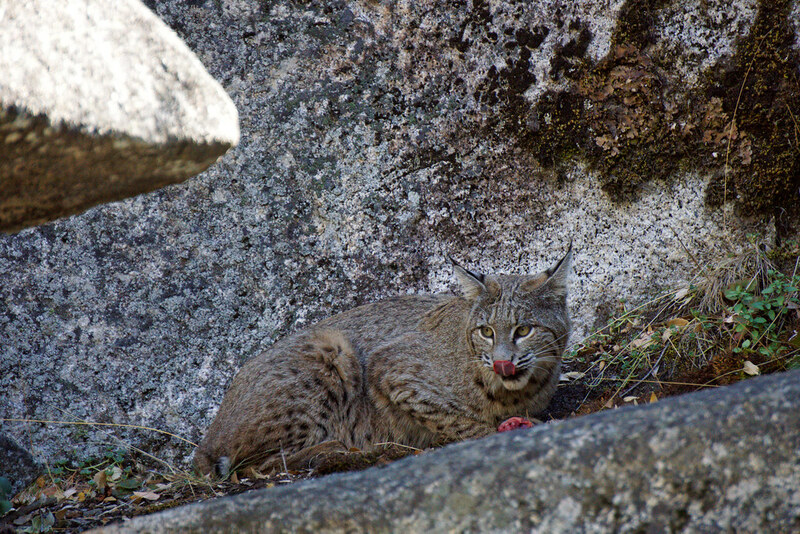 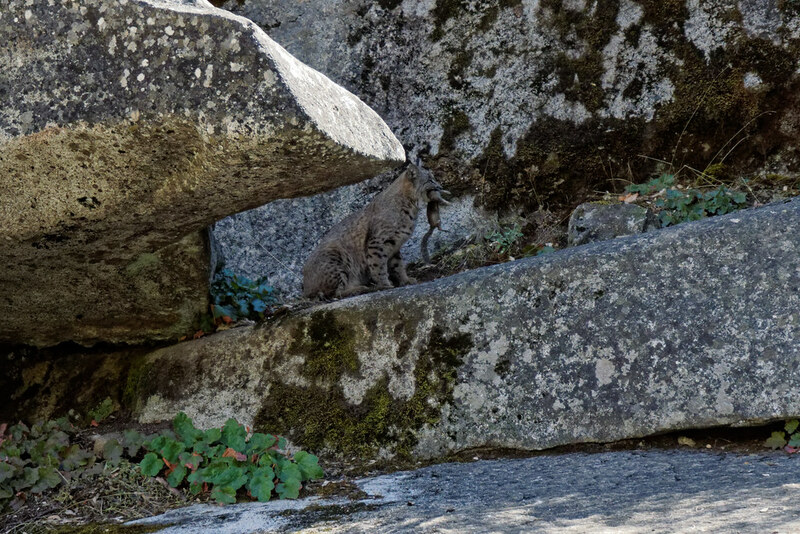 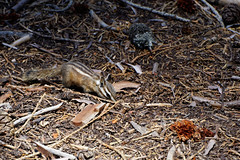 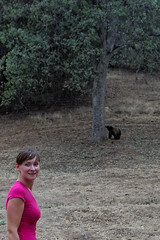 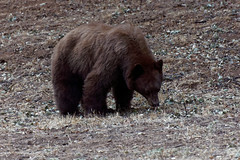 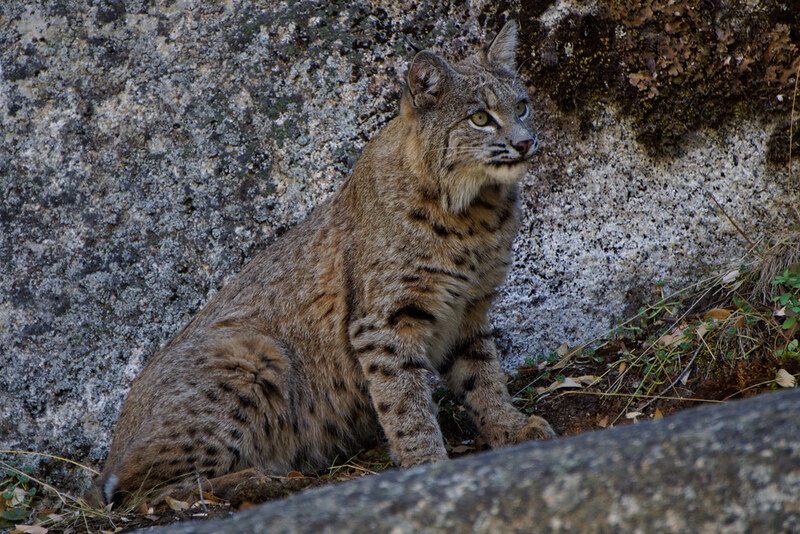 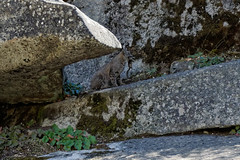 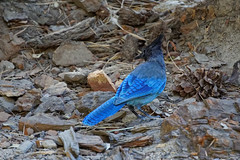 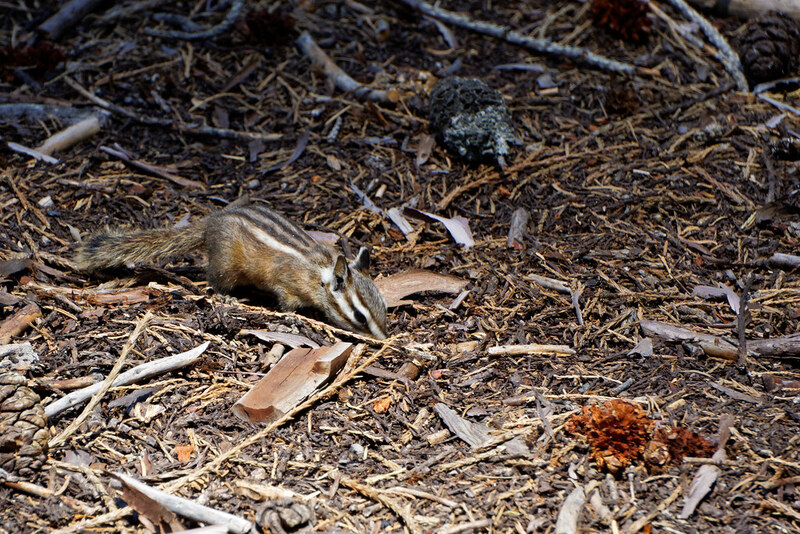 During our stay there we couldn’t skip exceptionally rich and diverse wildlife. 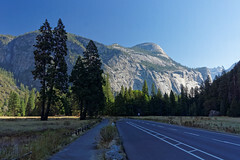 Therefore, at the end of our stay in San Francisco, we rented a car and went on a two-week journey through four states, to admire the beauty of nature. 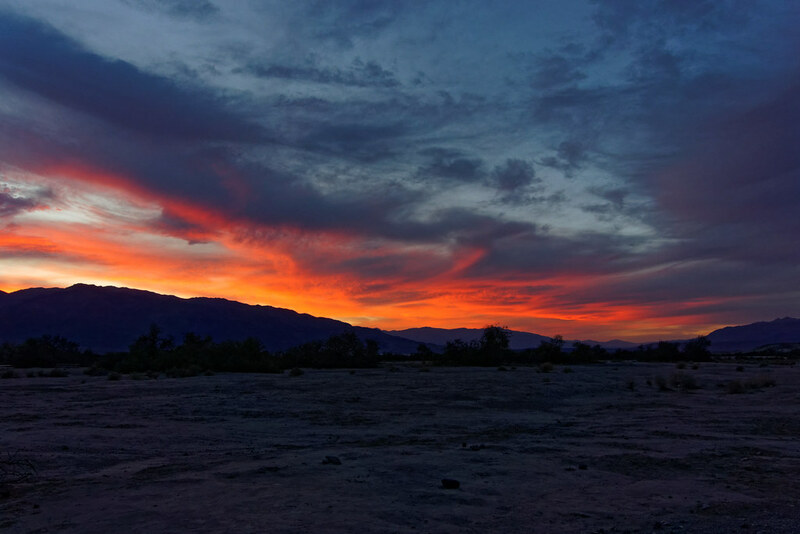 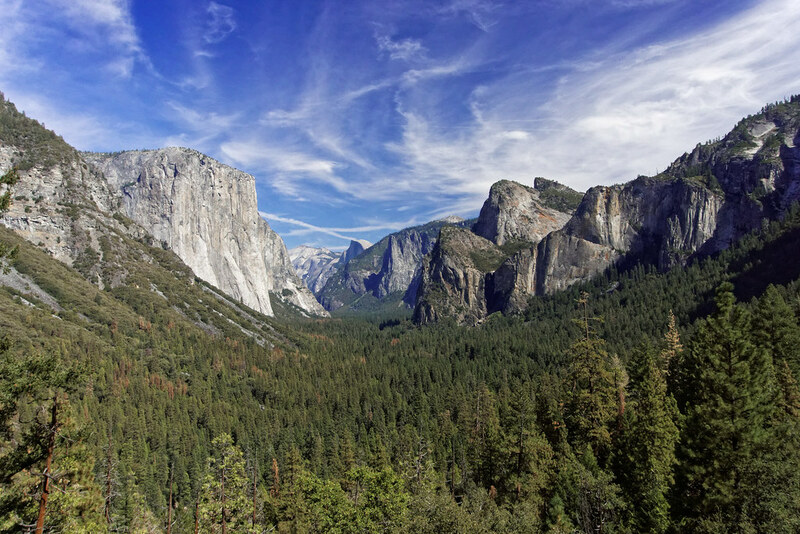 Today we invite you to the National Parks: Yosemite, Sequoia and Death Valley. 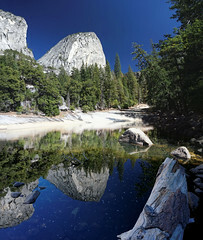 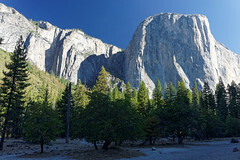 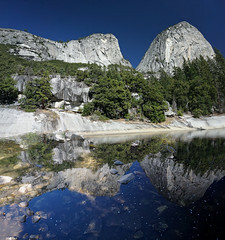 Yosemite is one of the most famous and popular National Parks in the United States. 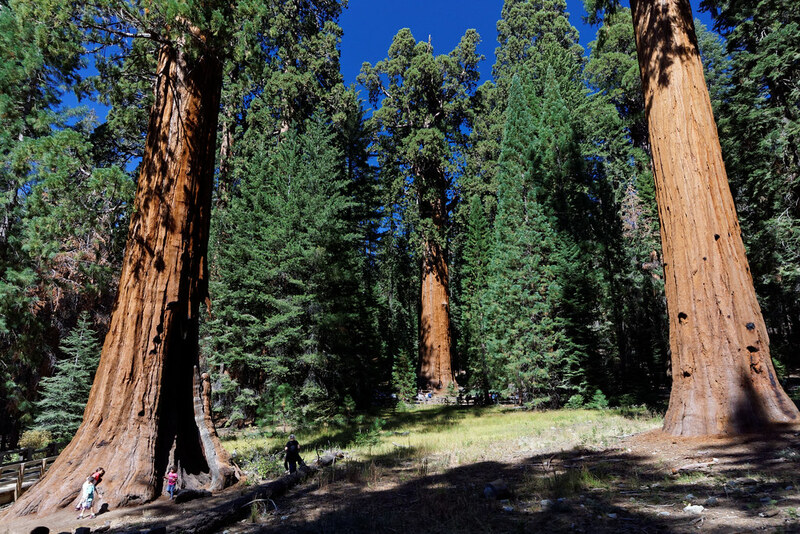 About 95% of the Park, which occupies more than 3000 km2, is completely unaffected by human. 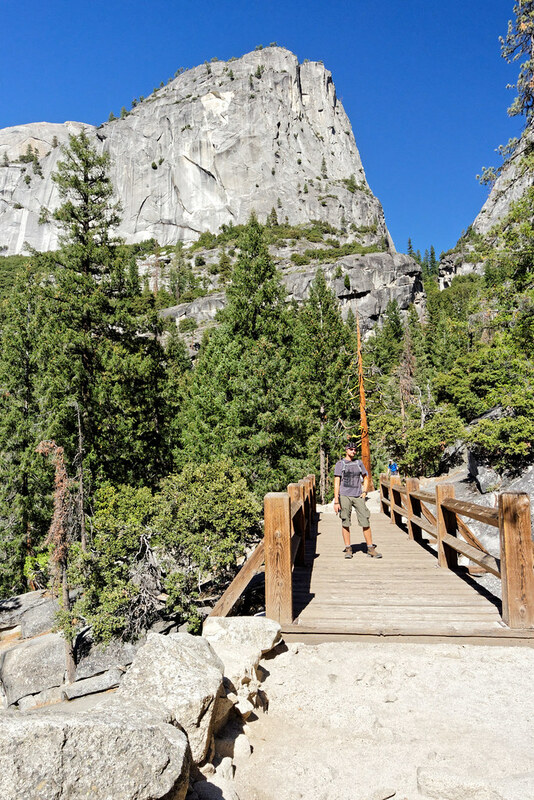 The diverse routes for mountain excursions, beautiful viewpoints, the valley with cycling paths and dense forests, in which live various species of animals – all these are but a few reasons why each year the park is visited by more than 3.6 million tourists. 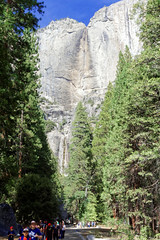 Tunnel View, which is definitely one of the most popular sights in the whole Yosemite Park. 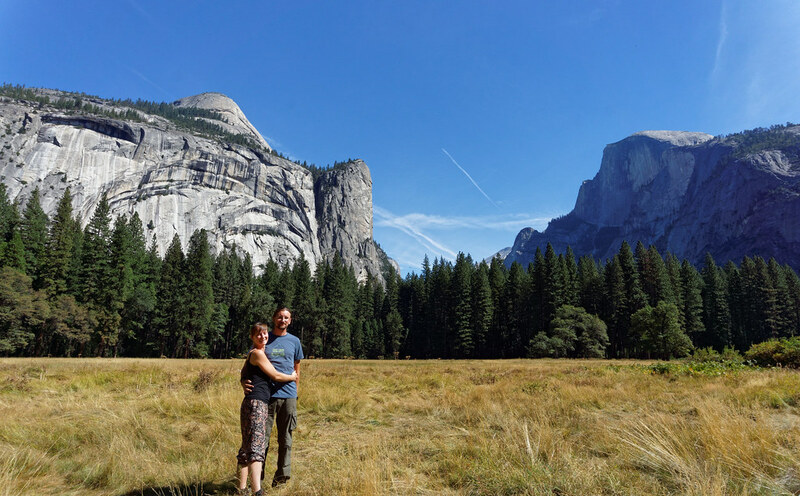 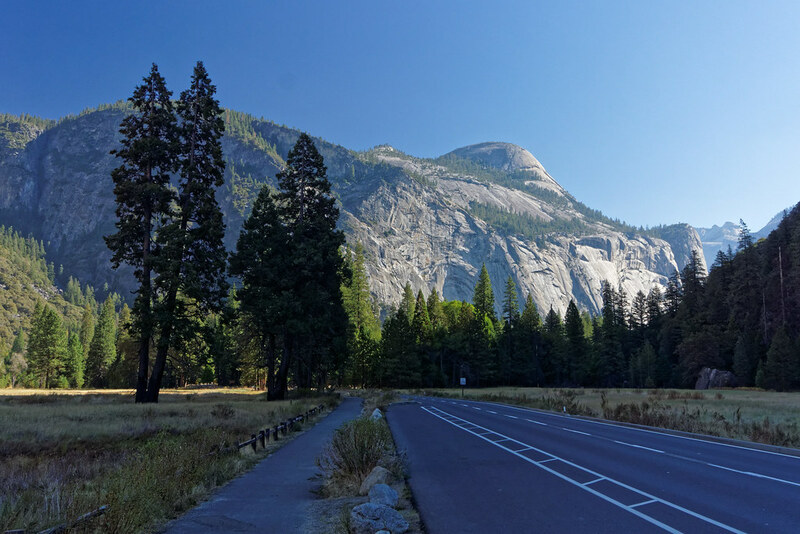 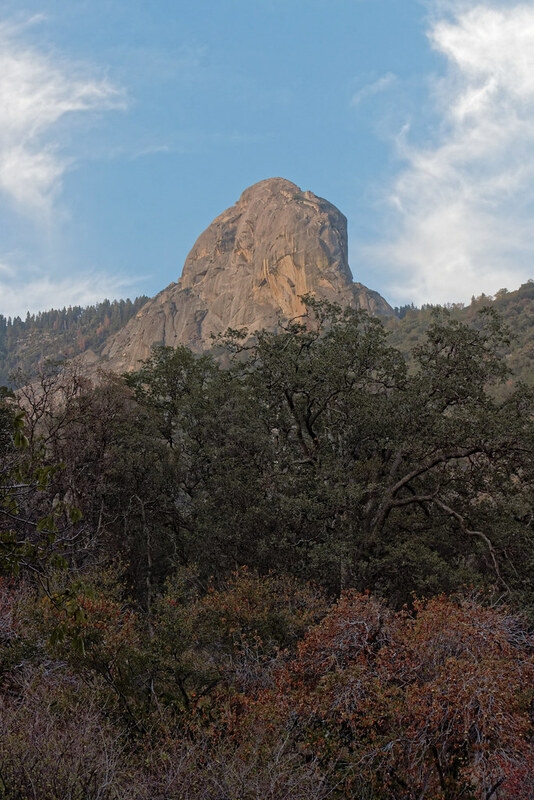 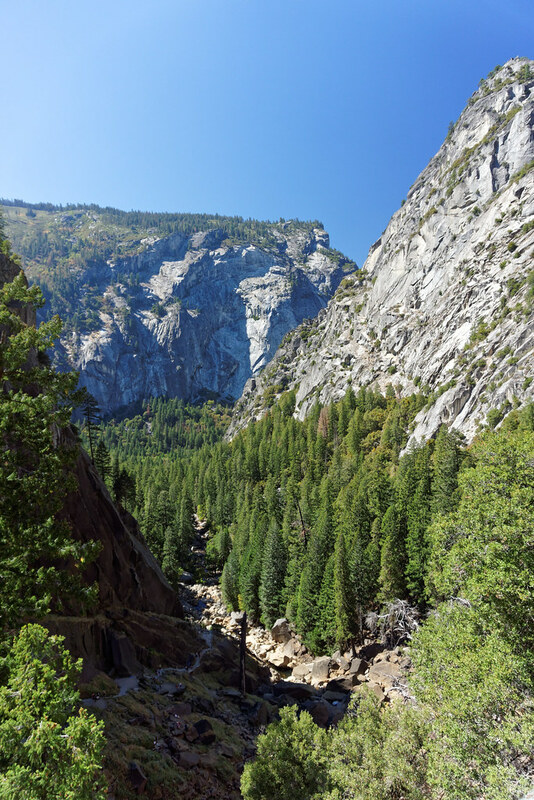 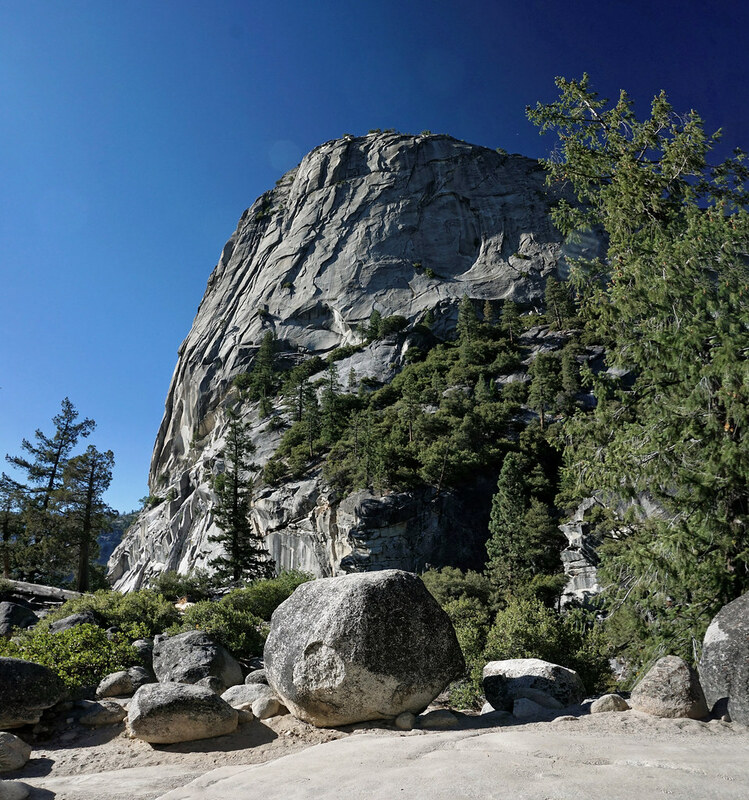 From here you can admire the top of El Captain, Bridalveil Fall and the most famous peak in the Park – Half Dome. 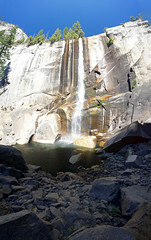 Waterfalls, which can be found in many different places throughout the Valley. 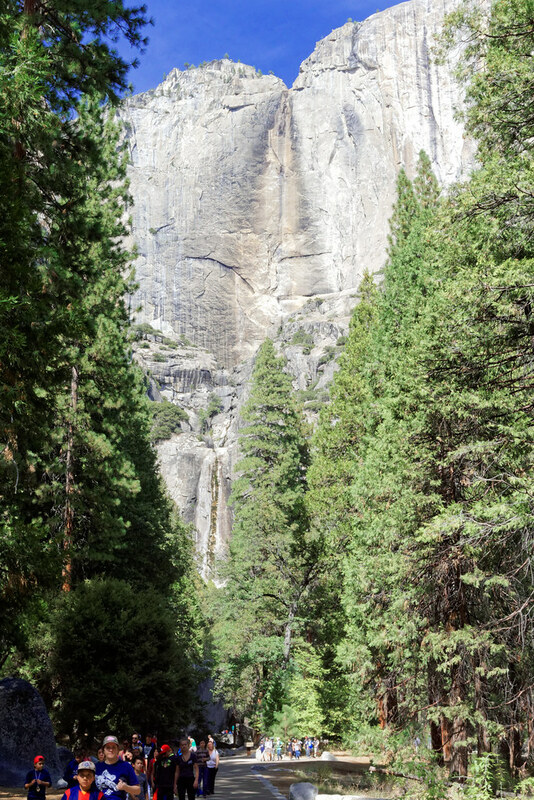 Some you can enjoy strolling around the Valley, the others can be found after following scenic paths. 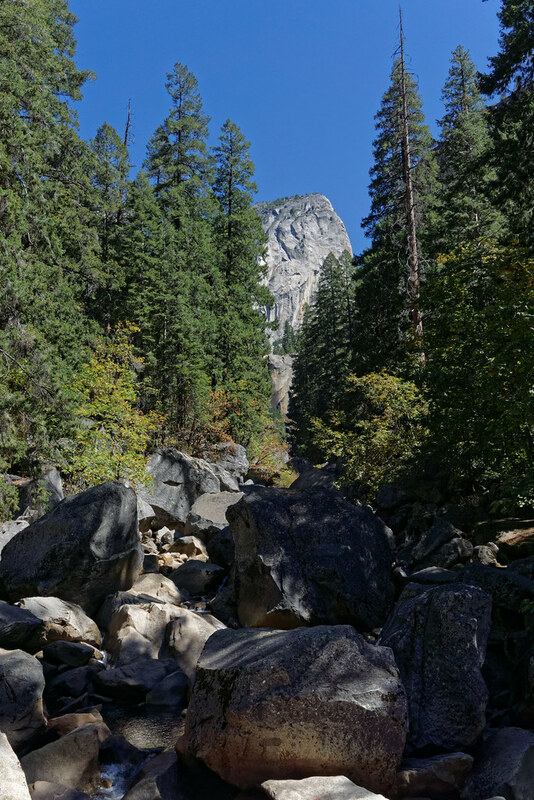 Unfortunately, the current drought in the state of California has a significant impact on the amount of water in streams and waterfalls in the park. 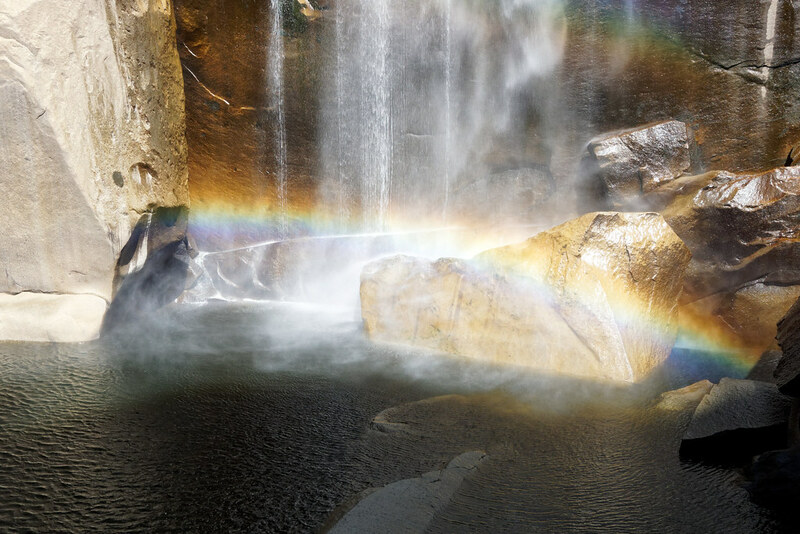 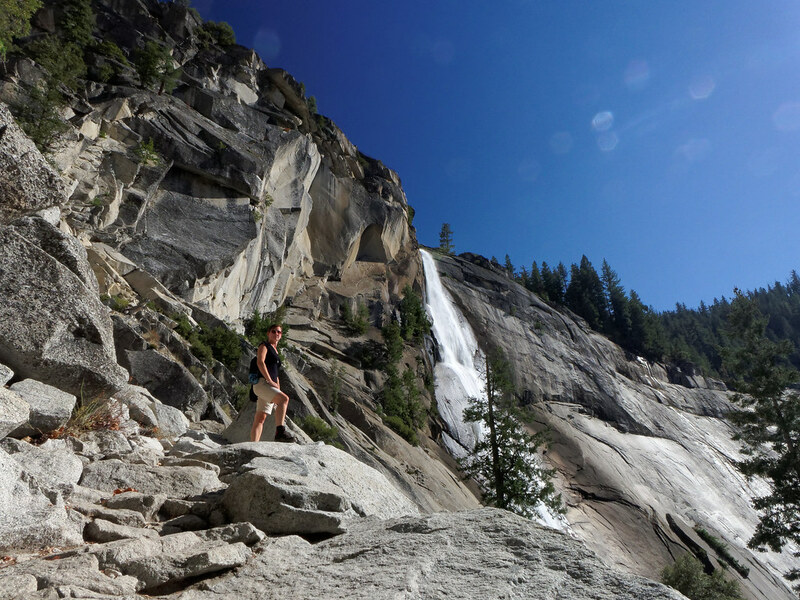 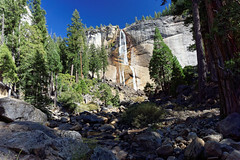 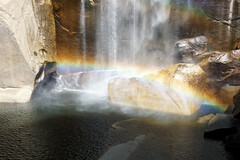 Therefore, the best time to see the waterfalls at Yosemite is from March to May, after the winter thaw. 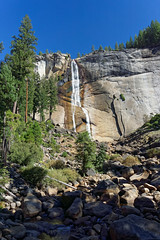 At the end of the summer some of the waterfalls can be quite dry. 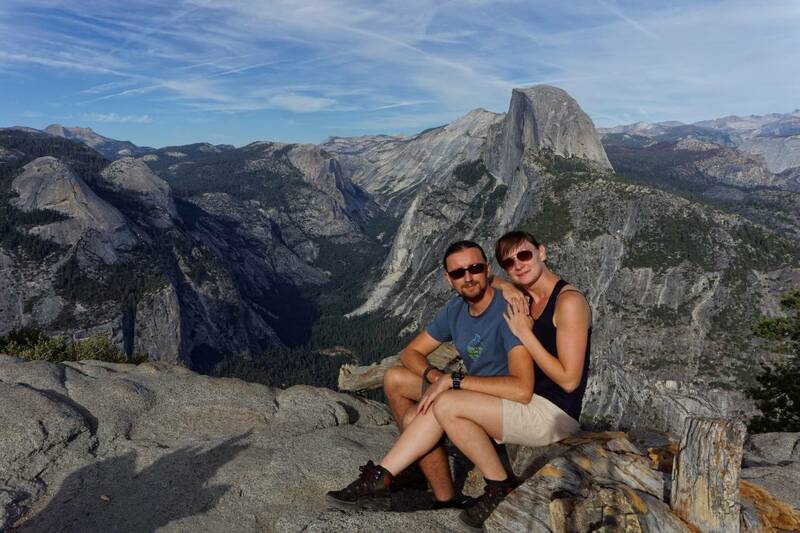 Glacier Point – a place which offers an amazing view of the very large area of Yosemite National Park, including the entire Yosemite Valley with Vernal and Nevada Falls and overlooking the Valley of the top of Half Dome. 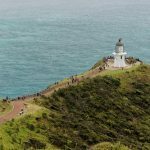 Fans of hiking will find many trails of varying difficulty here. But the most popular trail is undoubtfully the one leading to the top of Half Dome, which up until the year 1875 was considered “absolutely unavailable” summit. Measuring nearly 2,700 m.n.p.m. peak is towering over Yosemite Valley. 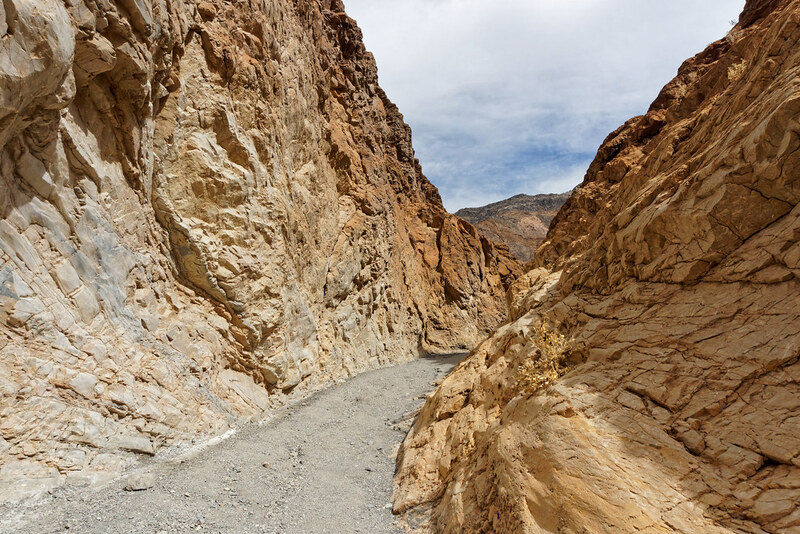 Demanding route with a length of 13.7 km, finishes with a very steep ascent along the eastern wall that requires to use lines secured with steel anchors. 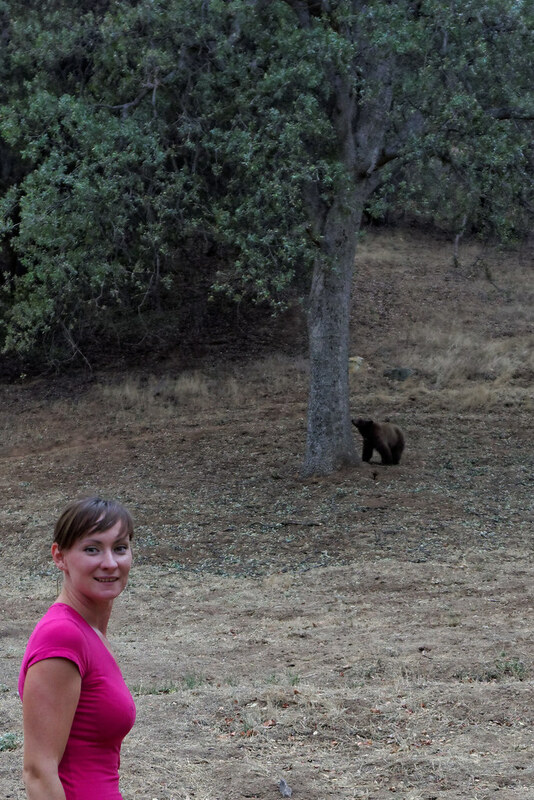 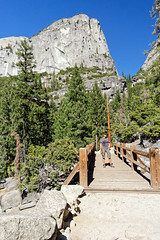 On the trail in Yosemite Valley. 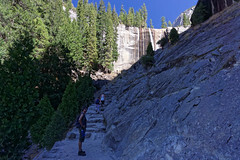 Our plan was to carry out a part of this route, about 7.6 km, up to Nevada Fall. 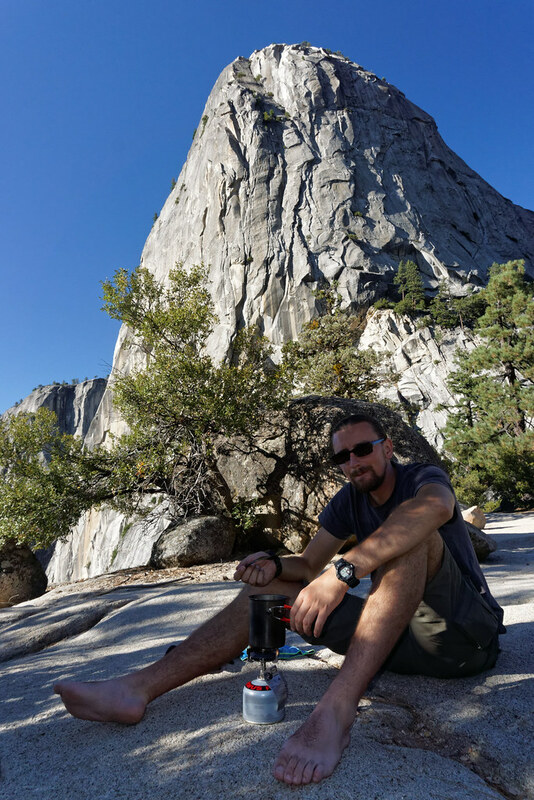 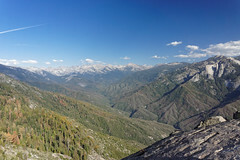 After reaching the place we found that even the “easier” part of the route to Half Dome is tiring enough. 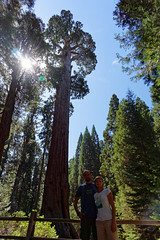 After Yosemite the next on our list were Kings Canyon and Sequoia National Parks. 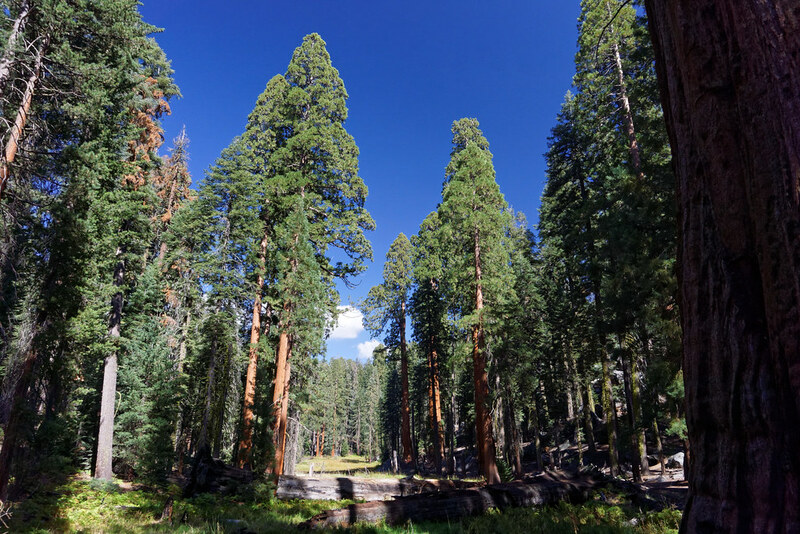 Someone might say – just a forest with larger trees. 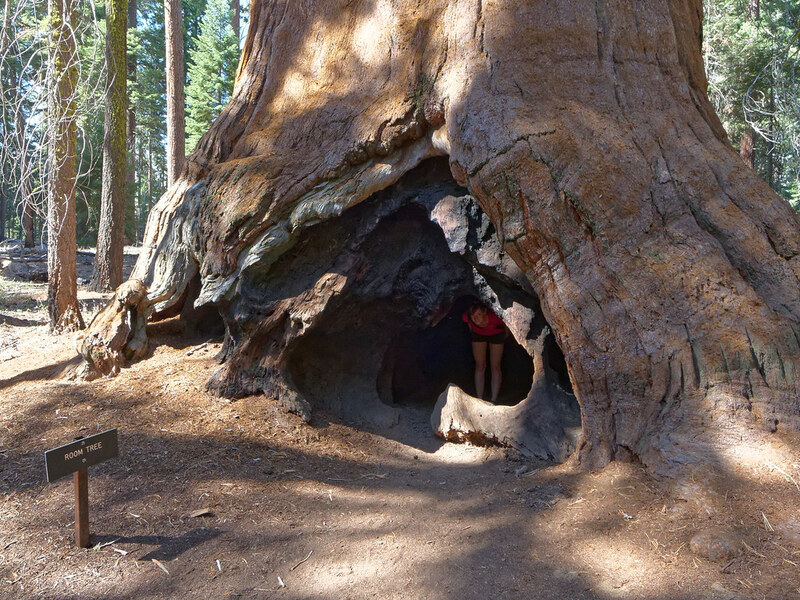 We highly doubt that anyone would say it after standing next to (or more ‘under’) a “young”, 300-year-old Sequoia. Redwood is one of the tallest, largest and longest living trees on Earth. 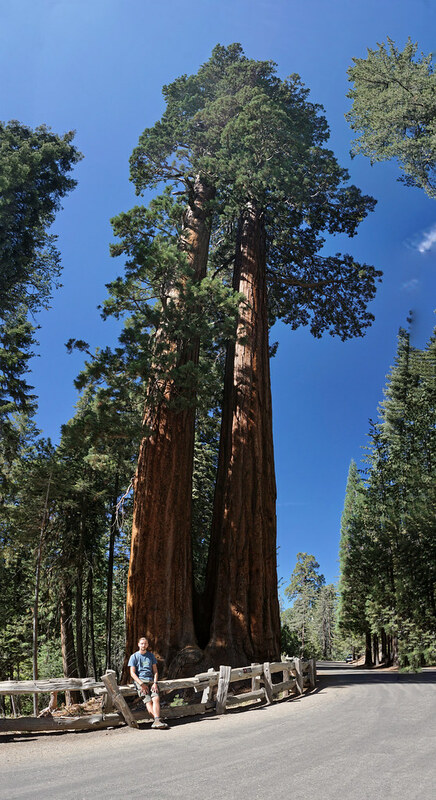 The tallest of them, Hyperion, has a height of 115.5 m and among with 4 other trees from the list of 10 tallest trees in the world, is growing in the Redwoods National Park, located in northern California. 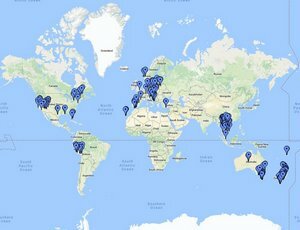 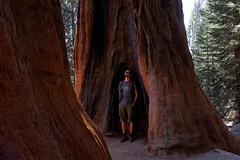 The exact location of Hyperion and the remaining 9 tallest trees in the world is held in secret. 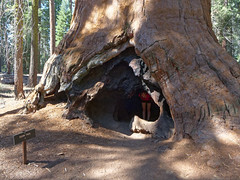 Fortunately, it’s not a secret where grows the largest tree in the world. 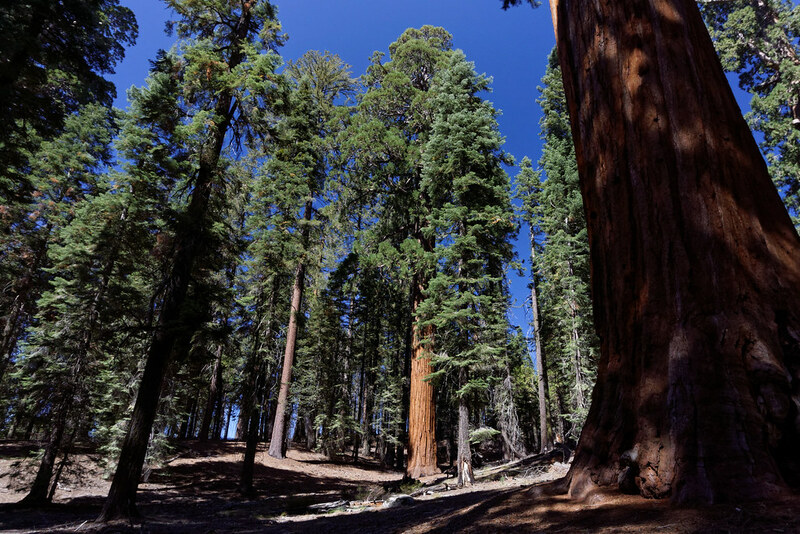 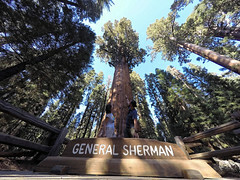 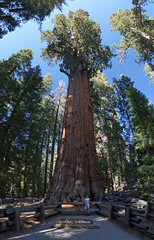 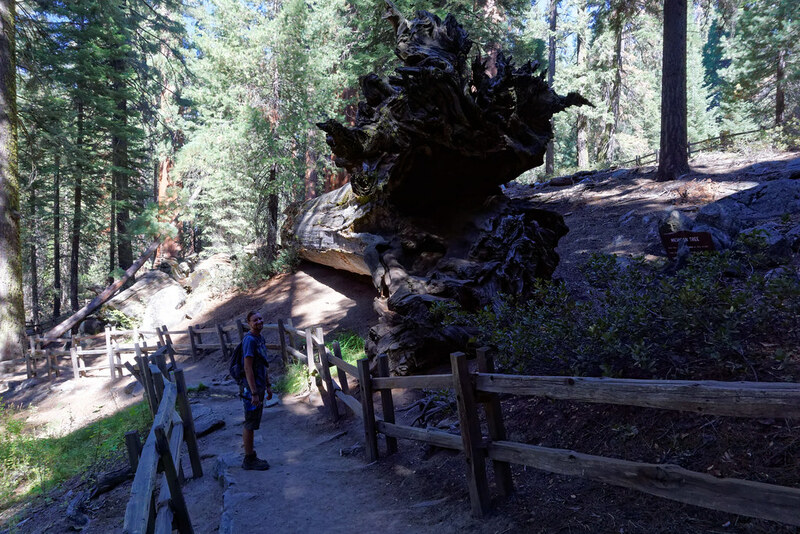 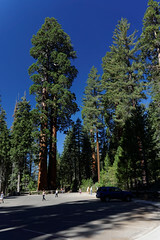 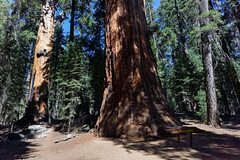 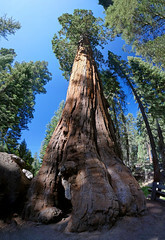 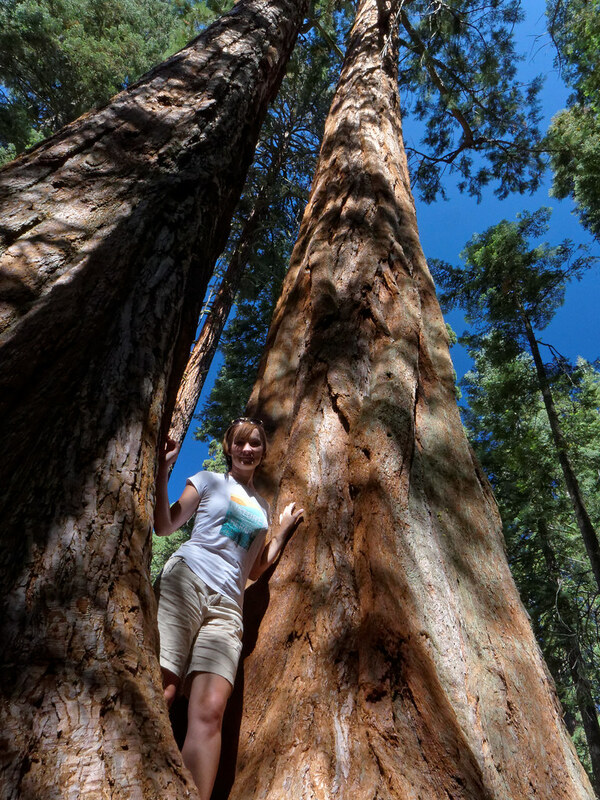 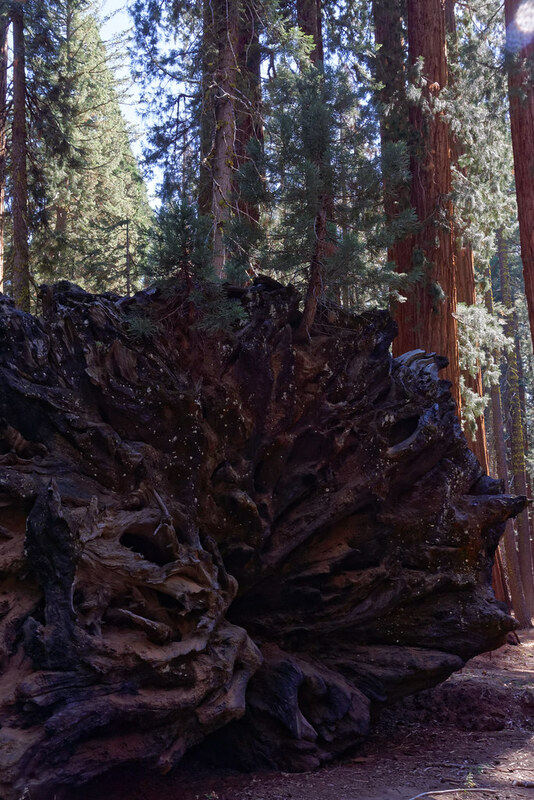 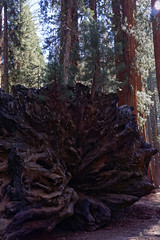 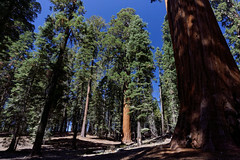 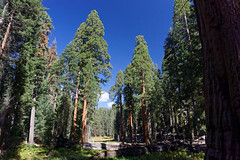 General Sherman grows in Sequoia National Park. 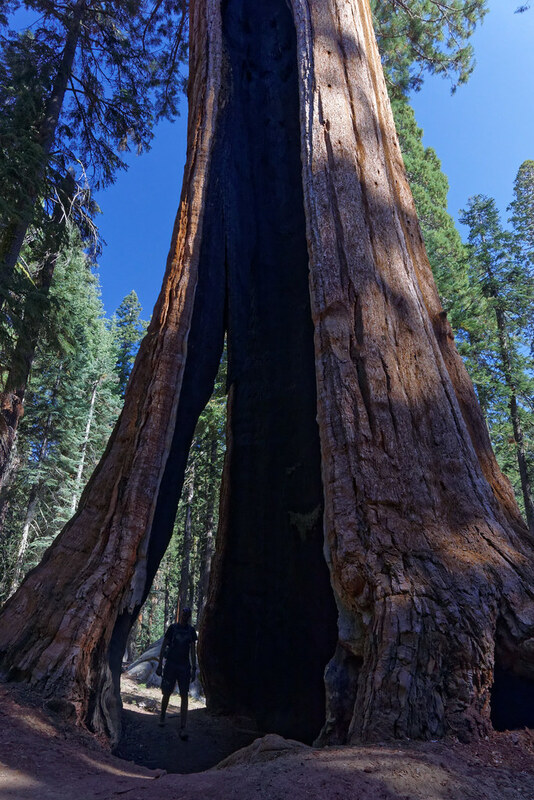 Measures “only” 84 meters, but its weight is estimated to be in the range of 1200 to 2000 tonnes and the circumference at the base is 31 m. Its age is estimated at about 2300-2700 years. 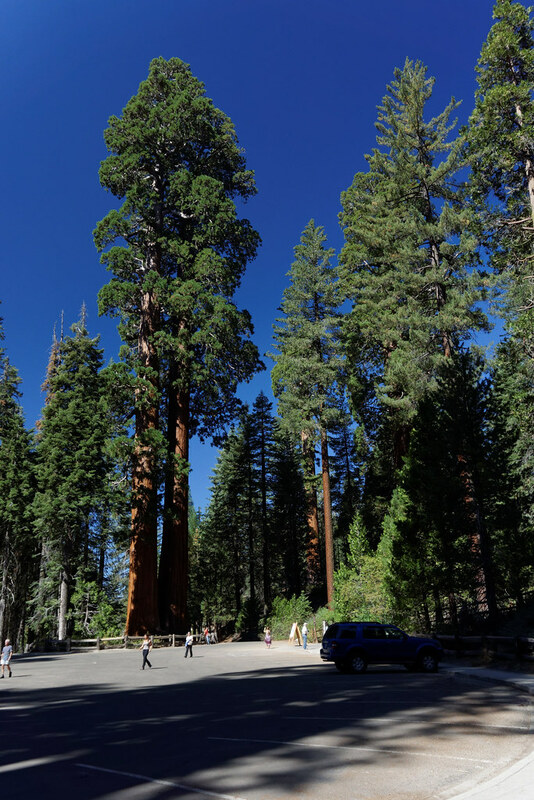 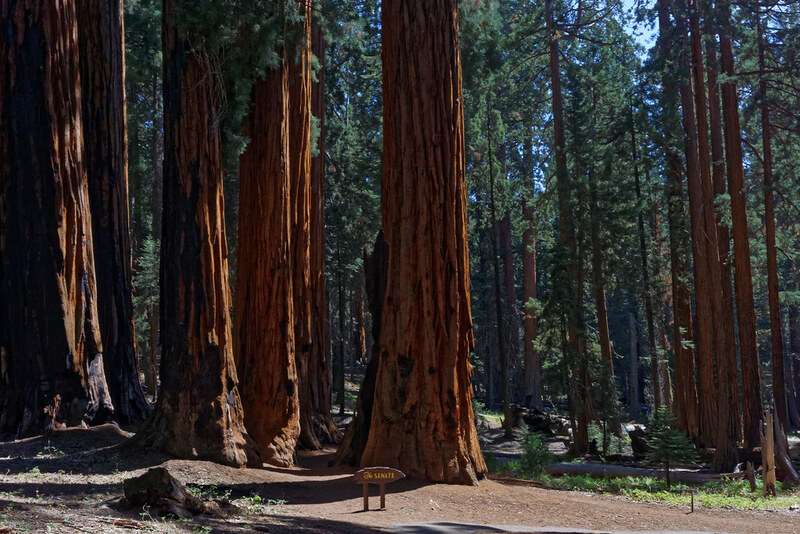 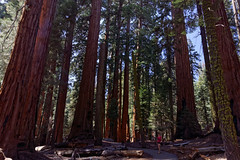 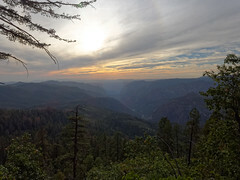 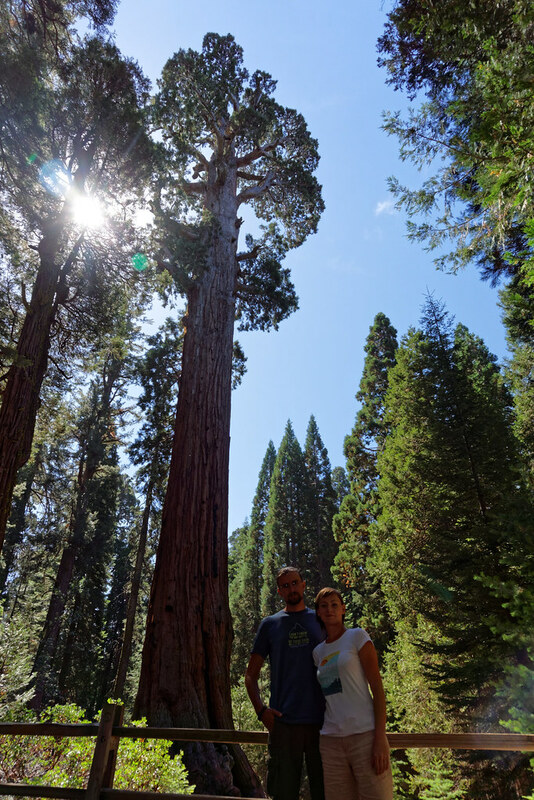 Sequoia National Park, which was established second only to Yellowstone National Park, is the only place in the world where giant Sequoias grow naturally. 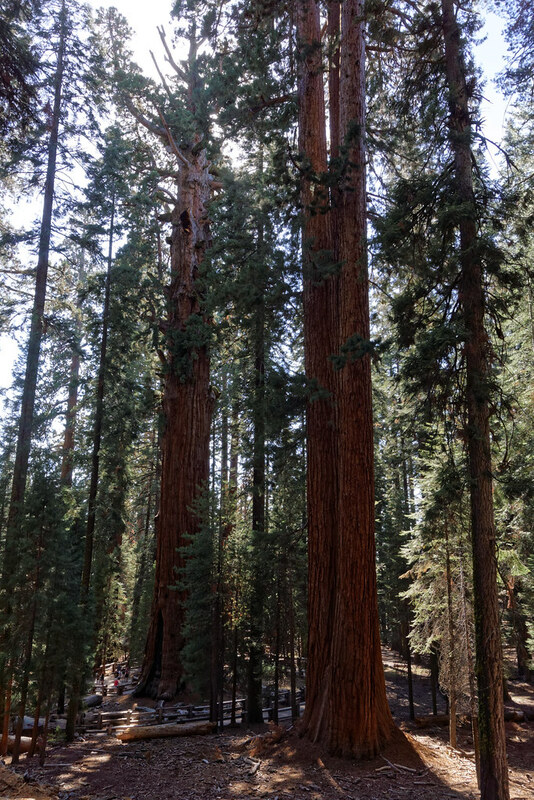 Interestingly, these trees are very resistant to all kinds of insects or fungi, and the thick bark protects them against fire. 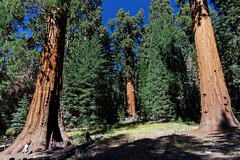 Thanks to that redwood can live 2000 – 3000 years or even more, provided that it doesn’t fall over. Knockdown is the most common cause of end of life of these giant trees. It’s easier to cut a hole rather than remove the entire fallen redwood tree. 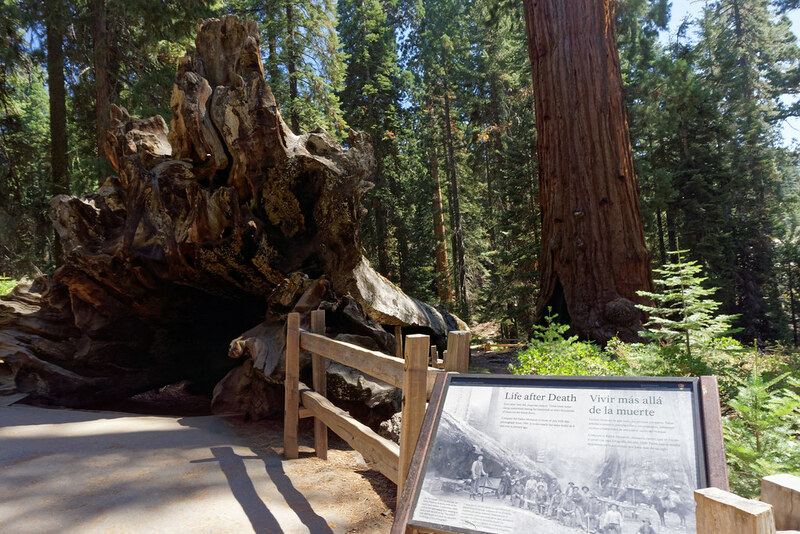 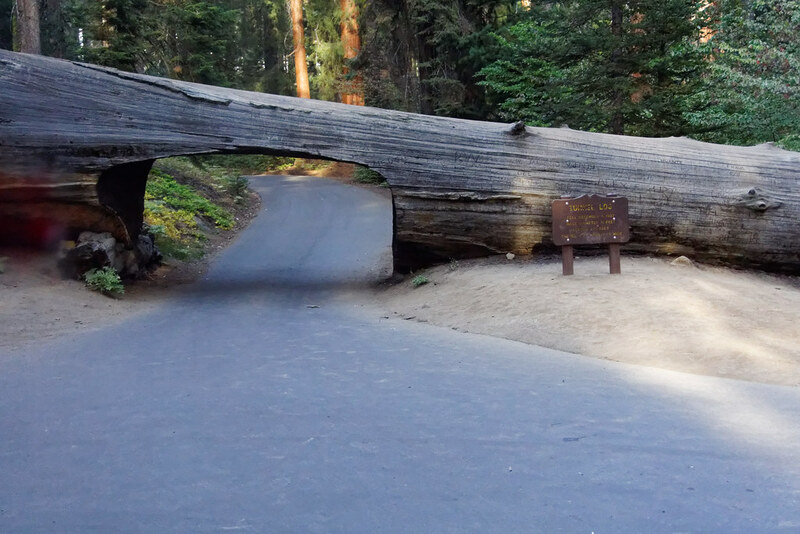 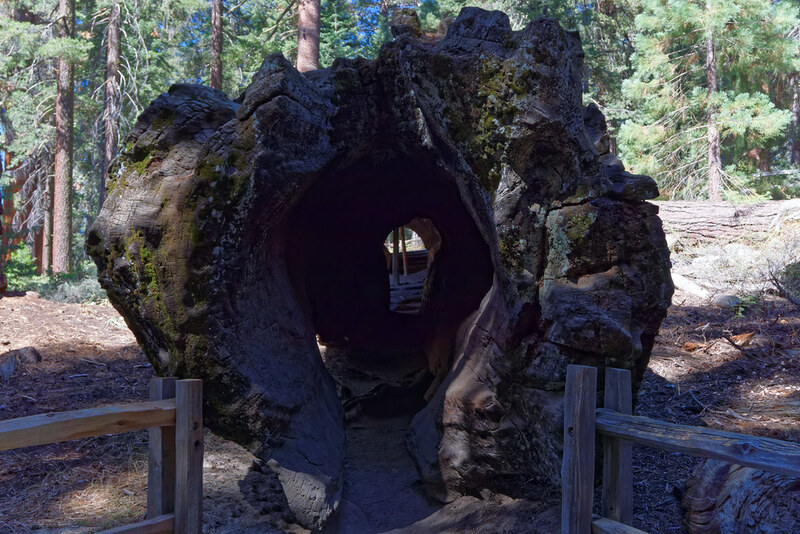 In Sequoia National Park, there are several “tunnels” carved out in fallen trees, some even the size of the car. 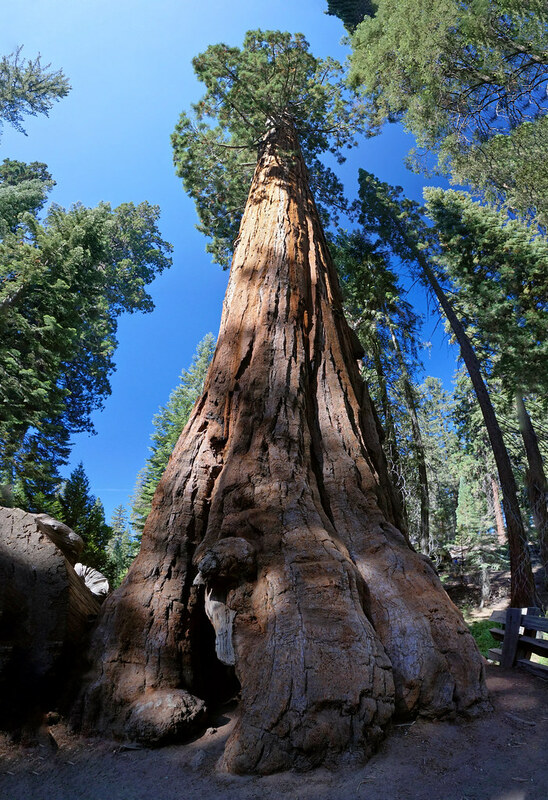 Among other interesting facts concerning sequoias, it’s worth mentioning the effect of fire on the tree. 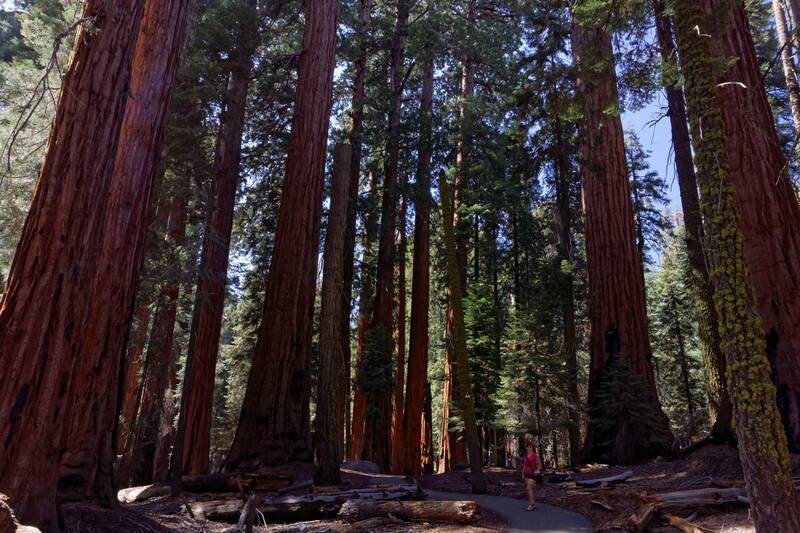 In a normal forest fire is a tragedy, but for redwood fire is useful. 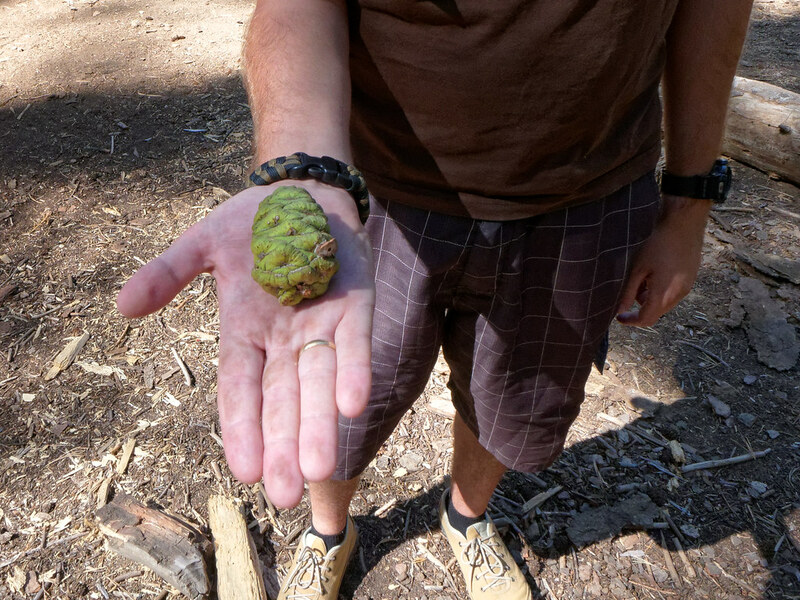 Redwood cones can hang on the tree for many years. Some of them get open by squirrels, but only the warmth of the fire causes the cones to dry up, open and release the seeds to the ground. Redwoods bark is fire resistant, so nothing dangerous is happening to them (most of the times), while the surrounding trees and shrubs after burning to ashes become a great fertilizer for redwood seeds. 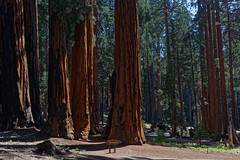 But when there’s no fire in the forest for too long, redwood, thanks to the resin focusing the sunrays, can make partial self-cumbustion – sometimes burning only bark, and sometimes burning a huge part of the base of the tree. 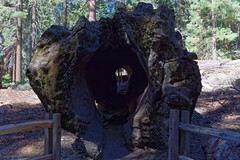 The effects of such ignition can be really impressive – sometimes you can go through a tunnel in the tree or stand in the middle of the trunk and look high up to see burned inside of the tree. 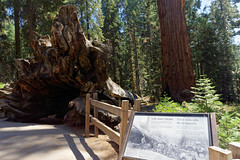 Seeing General Sherman tree (the largest tree in the world) and General Grant (the second largest tree in the world), along with walkways created in the surroundings of both trees. 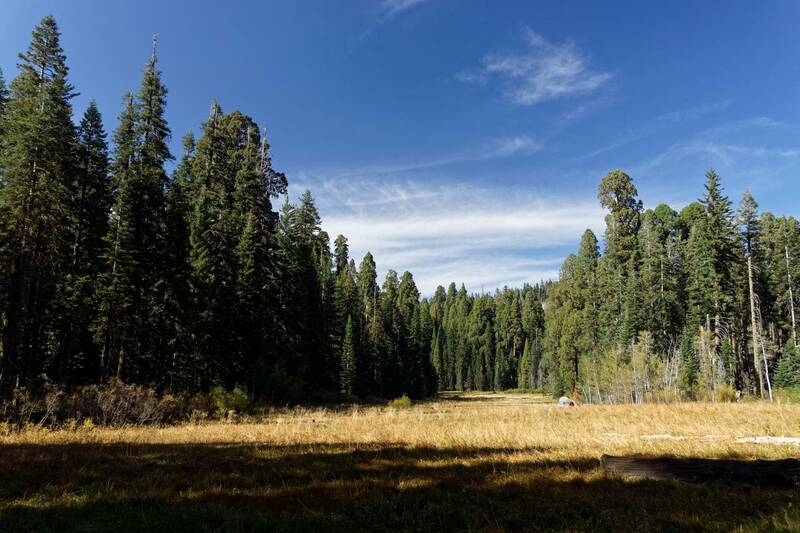 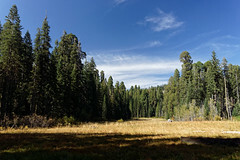 Walking the route from the General Sherman, through the Giant Forest to Crescent Meadow . 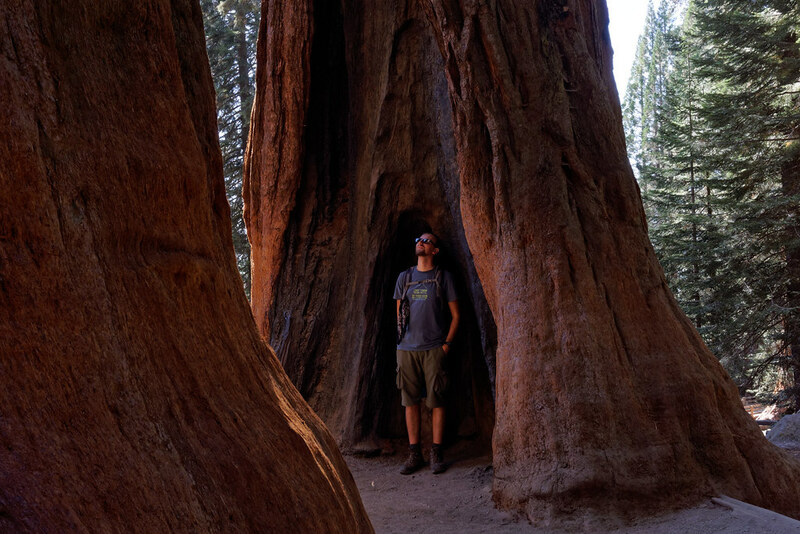 2-3 hours spent in the forest of amazing trees, among which you can feel like a leprechaun. 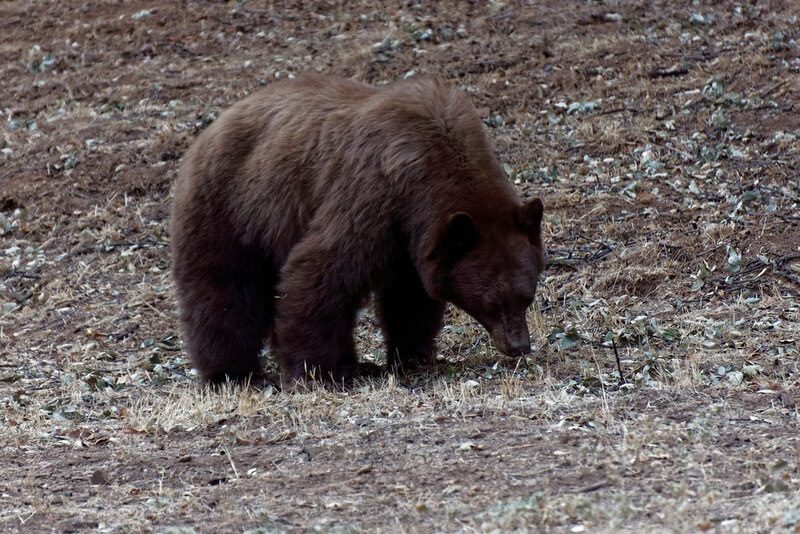 The trail ends at a small meadow surrounded on all sides by powerful redwood forests, where sometimes you can encounter black bears. 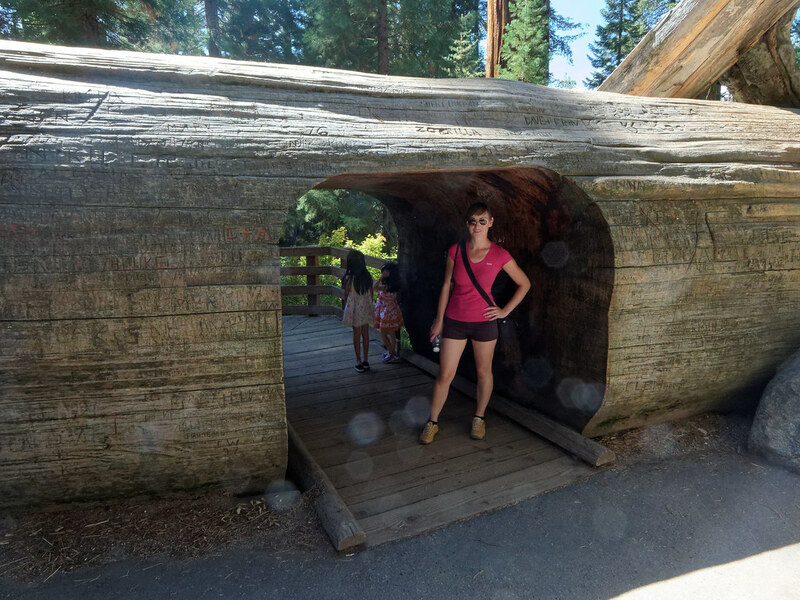 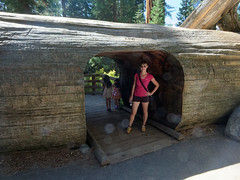 Tunnel Log, which is a tunnel for cars carved in fallen sequoia. The tunnel has dimensions of 2.4 m high and 5.2 m wide, was made in 1937 and still looks perfect. 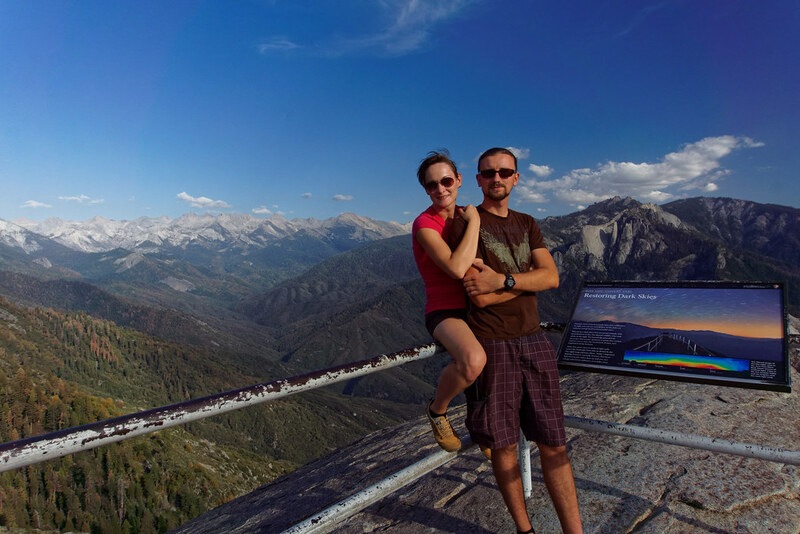 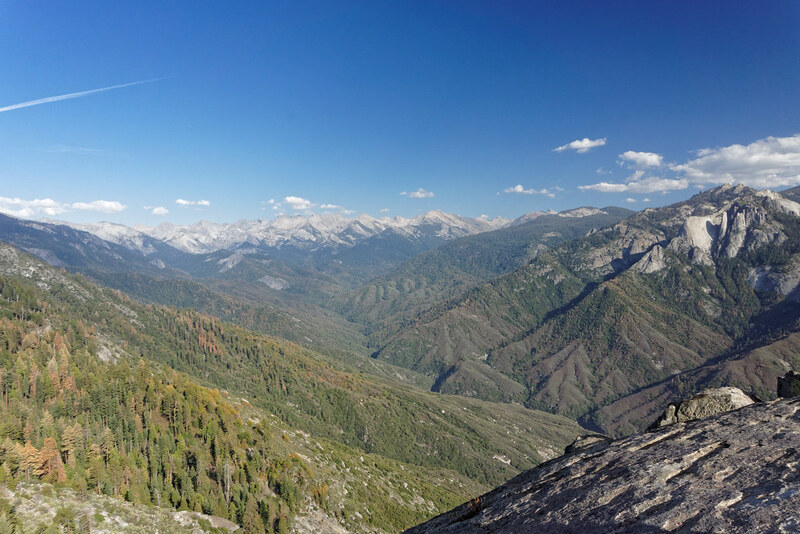 Moro Rock is one of our favorite places in Sequoia National Park. 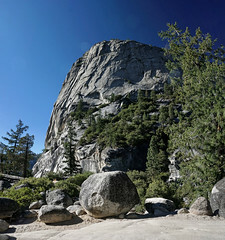 Granite rock is located near Giant Forest and Crescent Meadow. There’s a short (though a bit steep) route consisting of 400 stone steps, that leads to the peak. From the top you can see unbelievable view of the park and distant mountains, which is breathtaking. 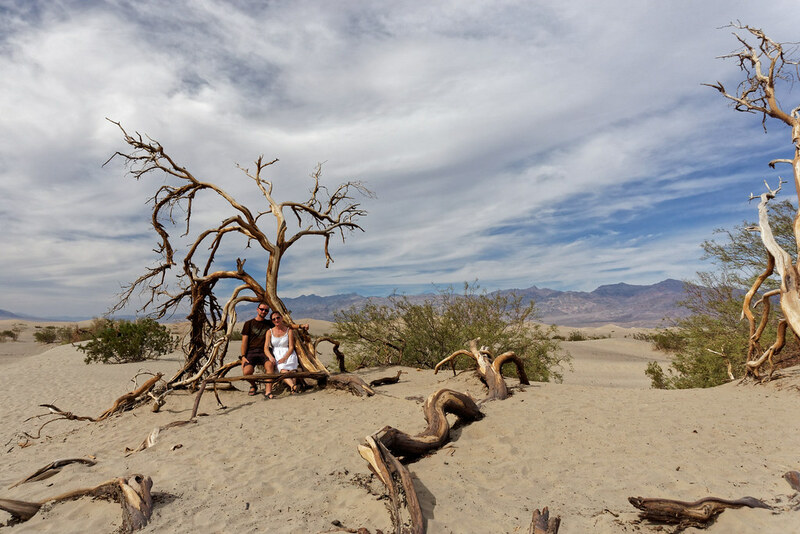 Having lived for 6 months in southern there were times we got really hot… The first few minutes spent outside the car with air conditioning in Death Valley was enough for us to think that Spain wasn’t that hot after all. At the end of September, the temperature in Death Valley during the day was about 45°C, dropping only a few degrees, to 38°C at night. 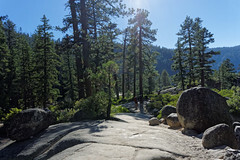 Night on the campsite in the middle of the Valley was one of the most strenuous since the beginning of our journey. 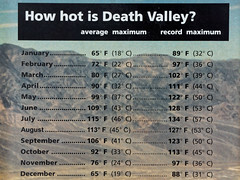 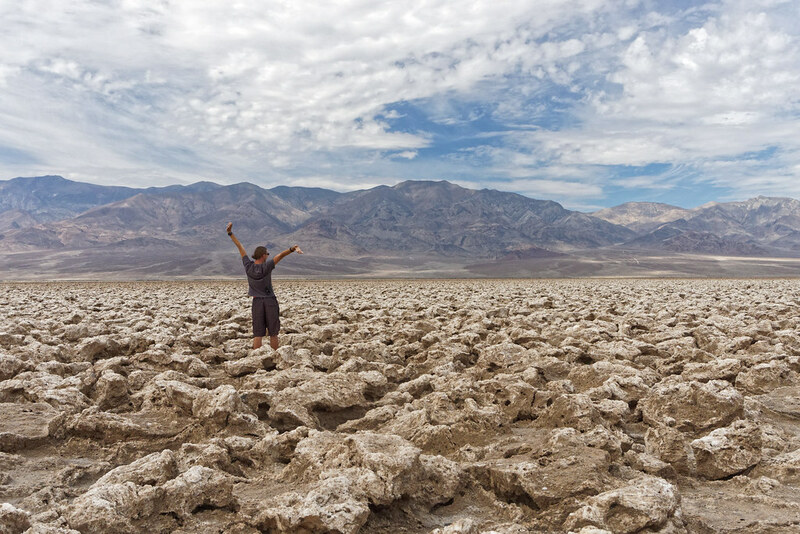 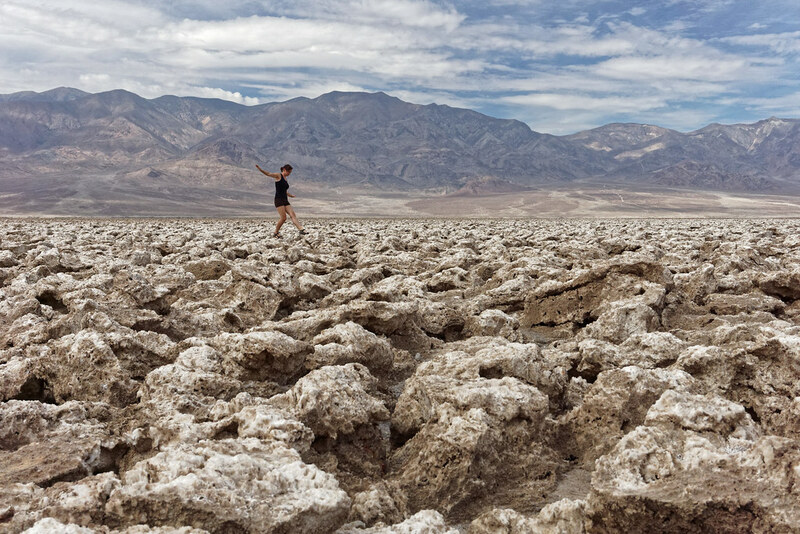 Death Valley is one of the hottest places on Earth. 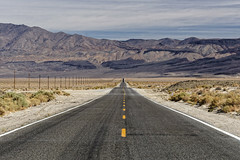 The record temperature of 56.7°C, was recorded in 1913, but still each year the air temperature during summer day reaches around 50°C. 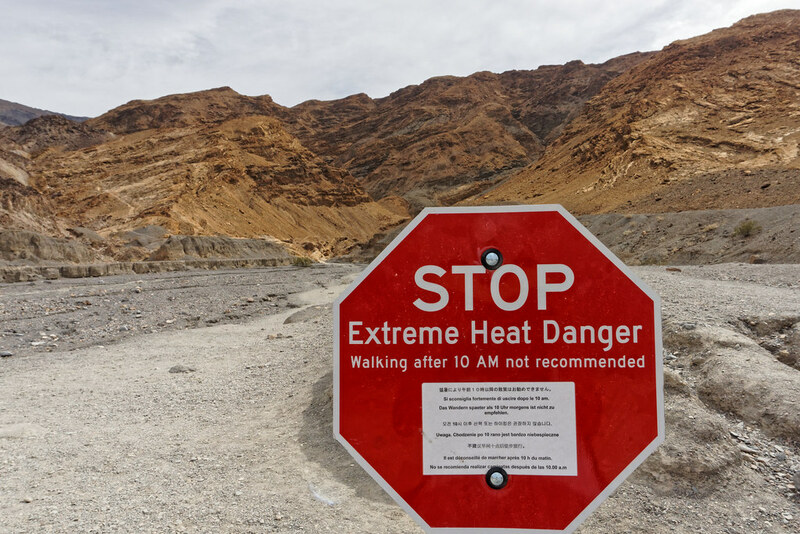 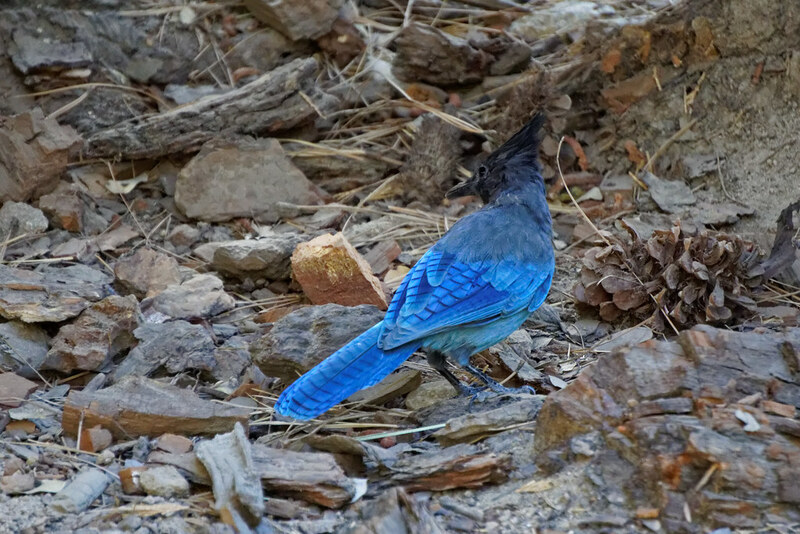 For this reason, park authorities do not recommend hiking Death Valley trails during the summer. However, if one decides to do so, it’s best to complete it before 10:00 am, as the temperature begins to reach its maximum after that time. 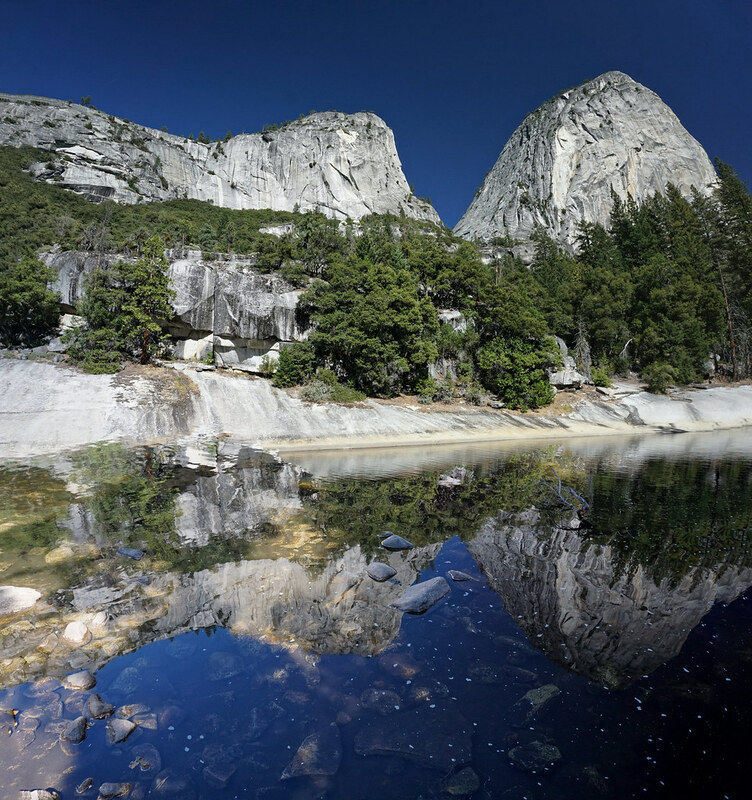 The park amazing landscapes are in 98% completely wild, untouched by human places. 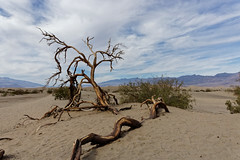 What so interesting to see in Death Valley? 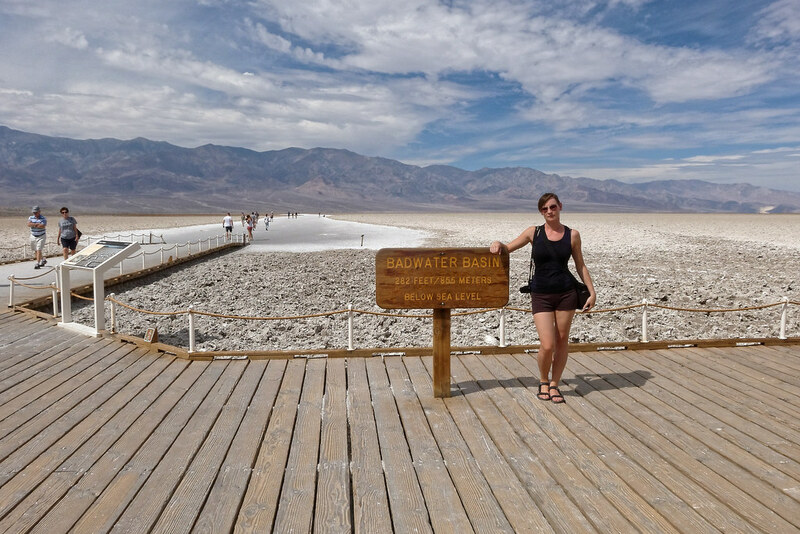 The lowest point in America and also the Western Hemisphere is located in Death Valley. 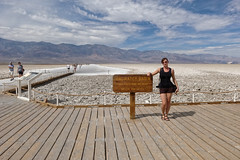 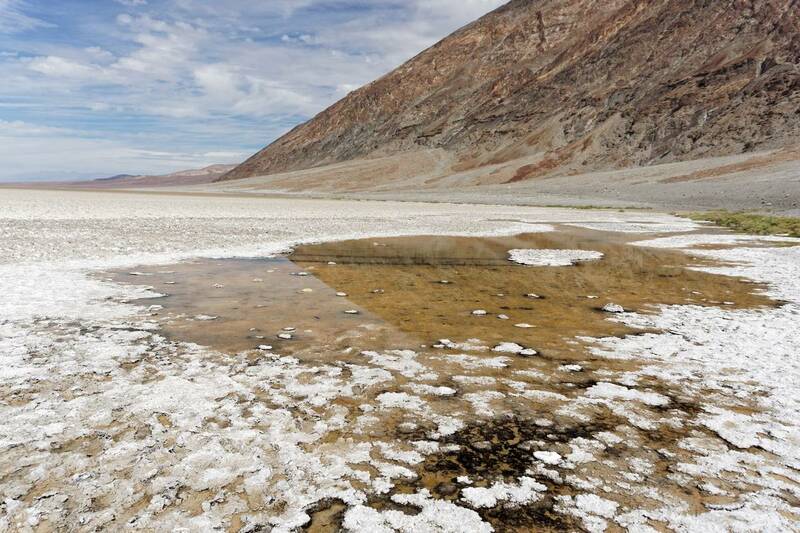 Badwater Basin has elevation of -86 meters below sea level. 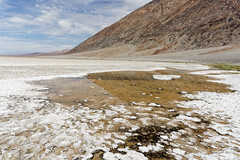 This natural lake covering area of almost 100 km2 is the fastest drying aqueous reservoir of United States, so usually the surface of the lake is much smaller. 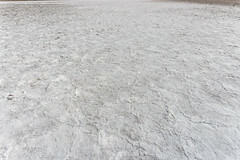 The bottom of the valley here is covered with a regular hexagonal patches of salt. 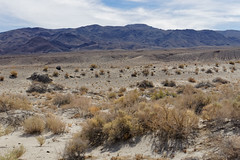 Extensive Mesquite Flat Sand Dunes, surrounded on all sides by mountains, can be enjoyed in the northern part of Death Valley. 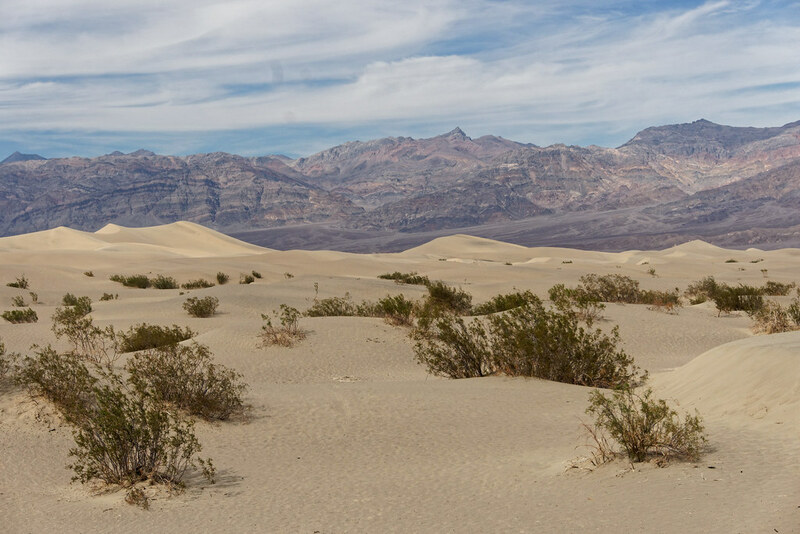 The unusual nature of the dunes is extremely yellow sand, creating small elevations up to 180 m and even 210 m above the ground. This distinctive desert landscape was repeatedly used in many films, including Star Wars. 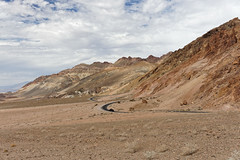 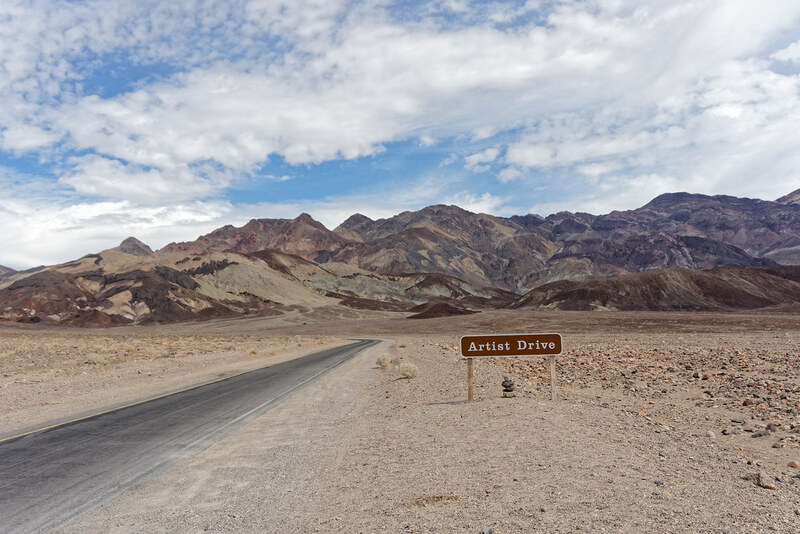 Artist’s Drive is a picturesque car route, which goes along the band of the Black Mountains, in the place where the rocks are characterized by unusual colors. Artist’s Palette on the other hand is a place where colorful rocks have most intense and varied colors. 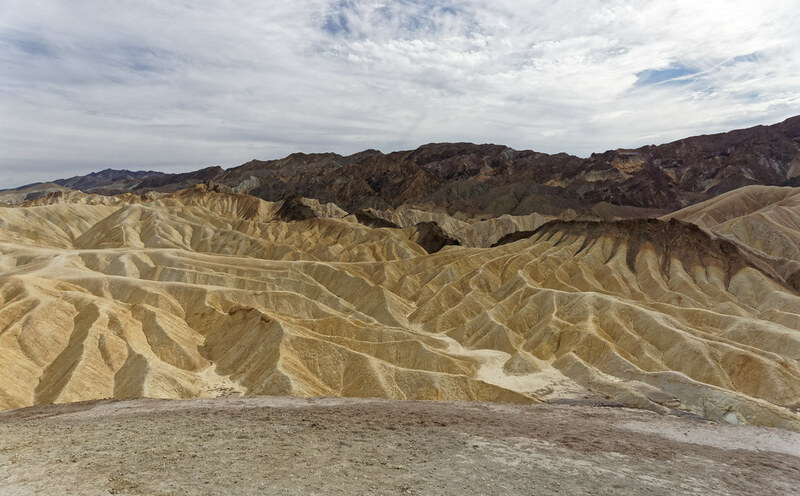 They were formed by the oxidation reaction of various chemical compounds. 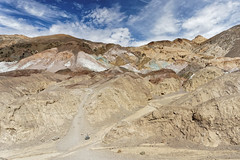 The colors red, pink and yellow were formed by the oxidation of iron compounds, the green color is formed by the decomposition of mica (minerals from the group of silicates), and violet is formed by manganese. 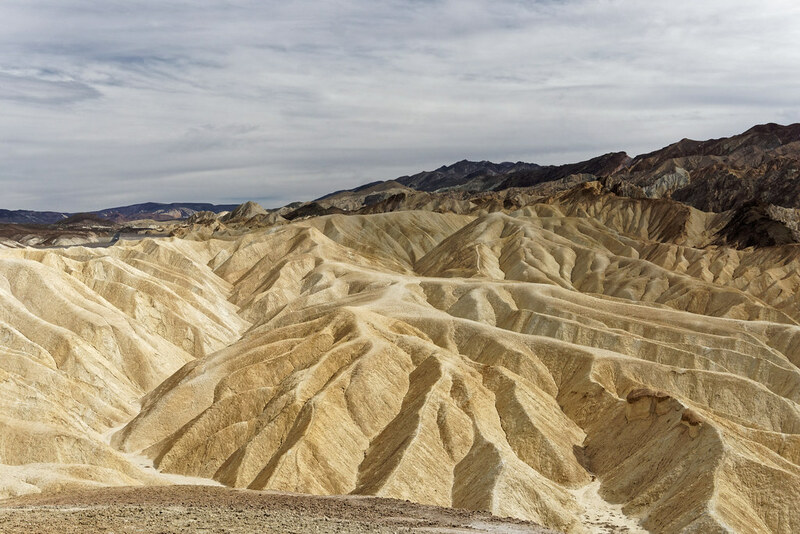 Zabriskie Point is a view-point on very interesting rock formations erosion created long before the Death Valley. 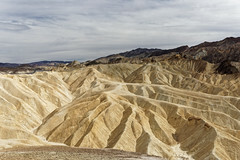 The philosopher Michel Foucault, traveling across the Valley in 1975, described a visit to Zabriskie Point as the greatest experience of his life. The name ‘Zabriskie Point’ commemorates the person of Christian Brevoort Zabriskie, who was a businessman and vice-president of one of the largest companies, which in the days of the California Gold Rush was acquiring borax from Death Valley (a chemical compound sodium salt of boric acid, used in soldering and for the production of glass and glazes). 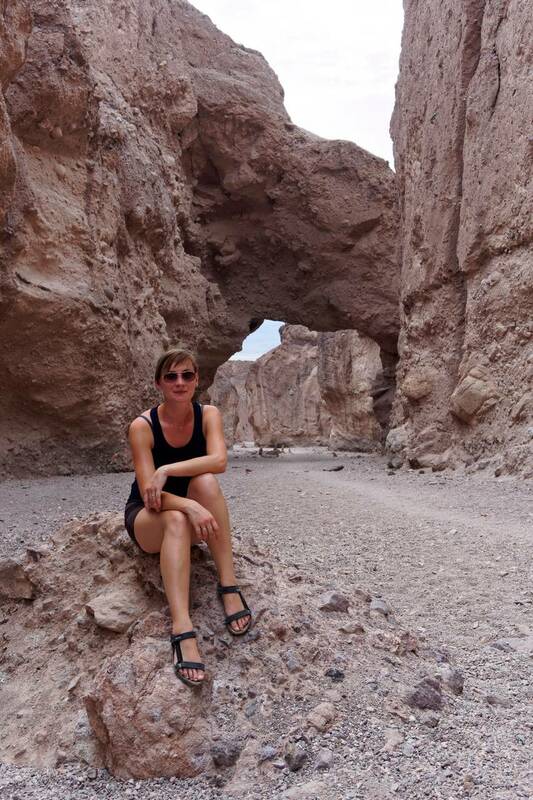 Natural Bridge Canyon is one of the two trekking routes in the Death Valley which was hiked. Located about 6 km from Artist’s Drive route follows a narrow canyon, until natural stone bridge between the canyon walls. 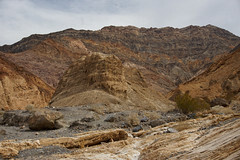 Another place where we went for a short trek was Mosaic Canyon. 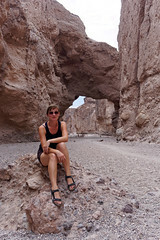 The entire route is 15 km, but it was too hot, so we just focused on the first half of the trek. Canyon walls are covered with a mosaic of pink, white, brown and black rocks. 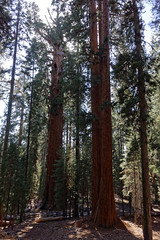 They would look certainly more impressive after a light rain, but we couldn’t count on that. 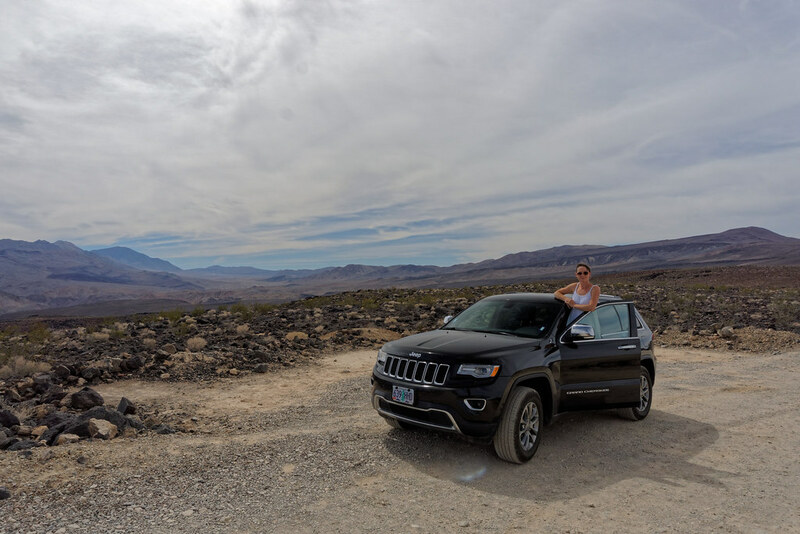 We loved the Ubehebe crater. 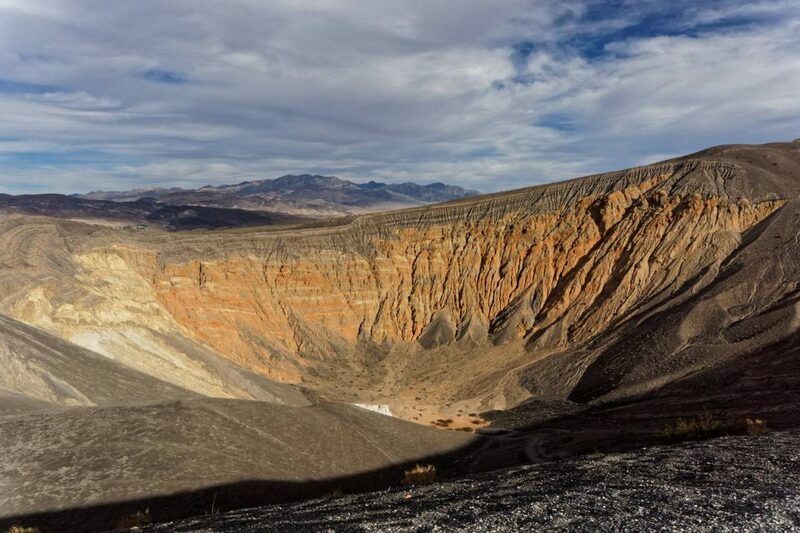 It’s a large volcanic crater with a depth of 237 meters, located in the northern part of Death Valley National Park. Its age is determined to be approx. 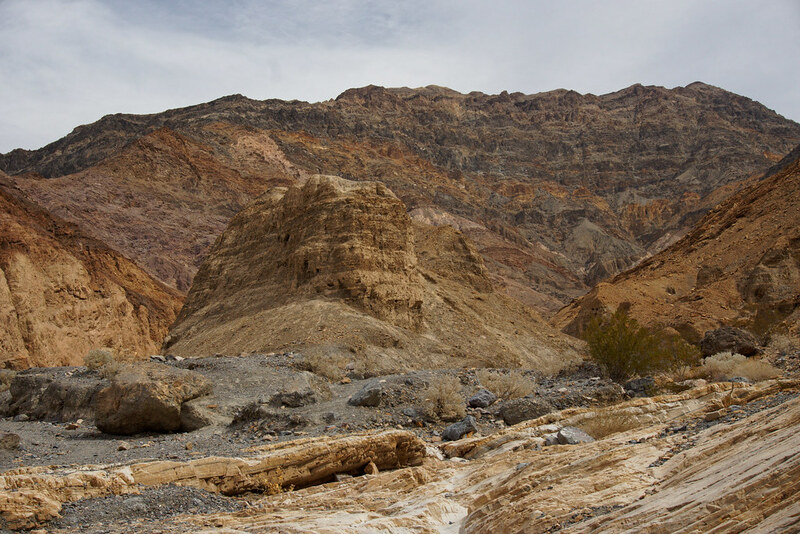 27,000 years old, and the name “Ubehebe” means “big hole in the rock”. 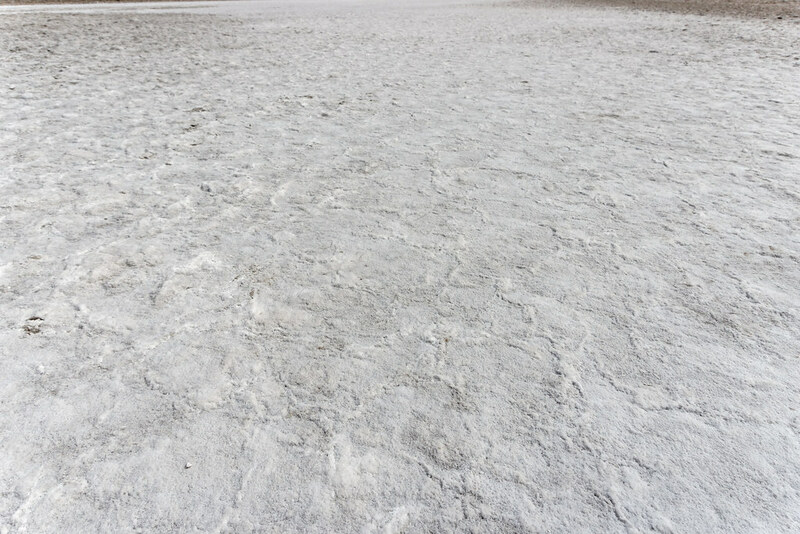 And a place to which we couldn’t unfortunately go – Racetrack Playa. 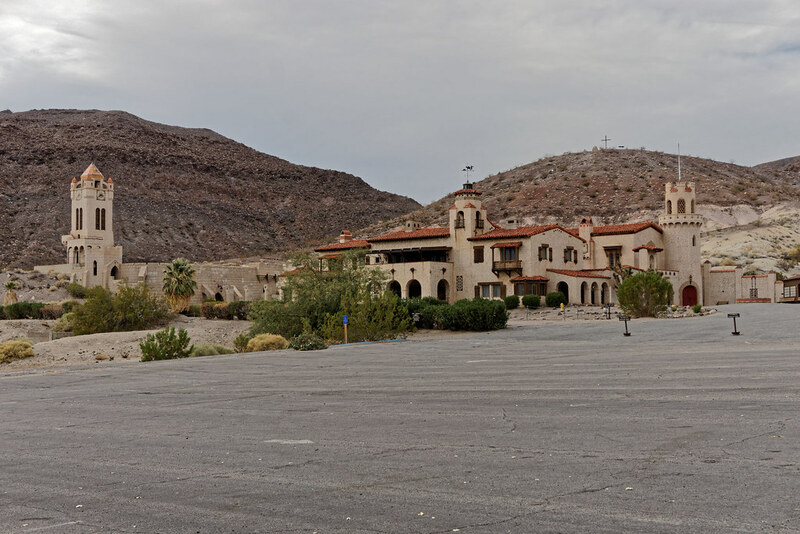 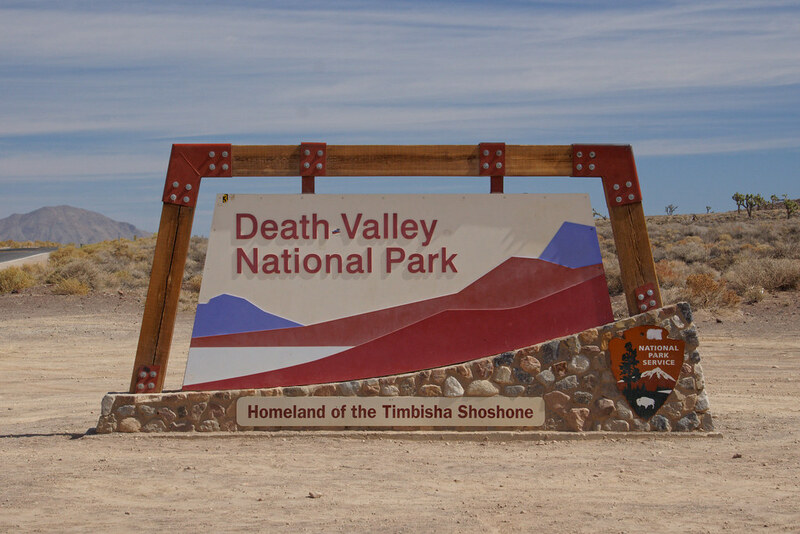 This unavailable to most tourists part of the Death Valley (in order to get there you have to have the right 4×4 car) is best known for the “strolling” stones. 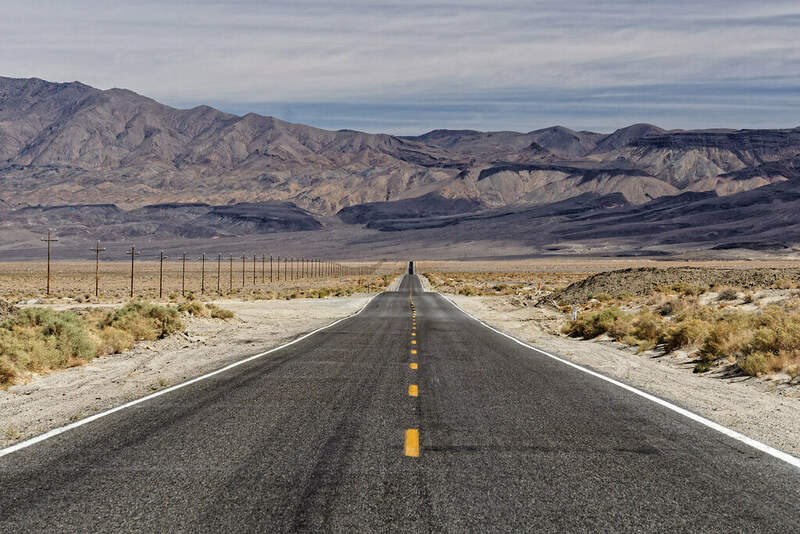 Despite many attempts to explain how they move, nobody found the answers to this question. 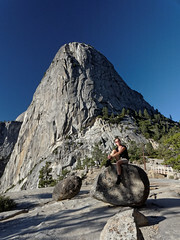 The stones move in different directions on a completely flat and cracked surface of the valley once every 2 or 3 years, leaving a trail of their journey. 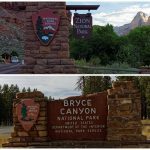 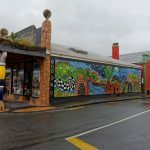 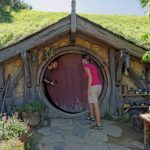 First and in our opinion the most important practical advice – if you are planning a tour around the National Parks in the United States and want to visit more than three of them, definitely buy Annual Pass. 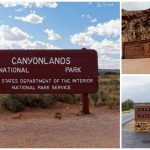 It’s a ticket to more than 2,000 state-owned “places of recreation” such as National Parks, forests, dunes, craters and many others. Annual Pass costs 80 USD, it’s valid for one year from the date of issue and can be bought in almost every National Park and in places of tourist information. 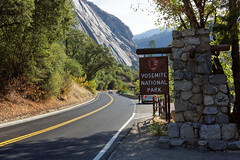 The card is signed by name, but provides access for all people traveling in a car with the owner of the card. 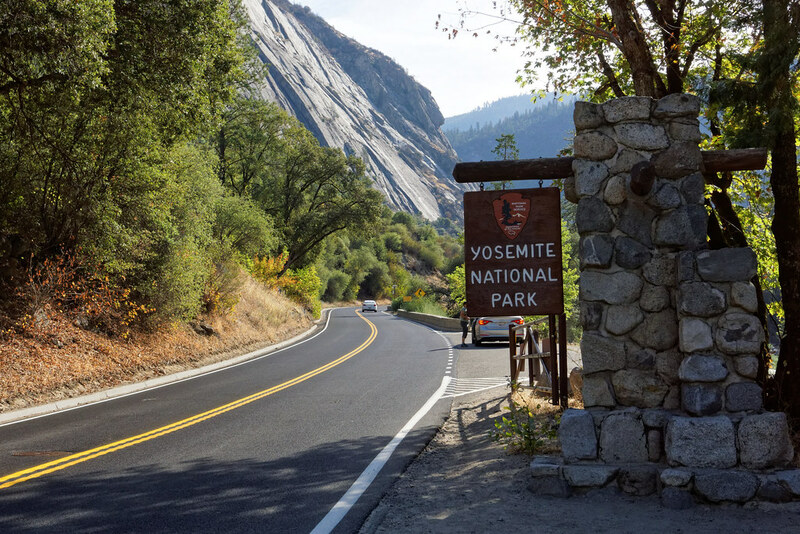 Depending on the type of transport you use, the 7-day admission ticket to Yosemite National Park costs 15 USD (on foot, bicycle or horseback), 20 USD (motorcycle) and 30 USD (by car). 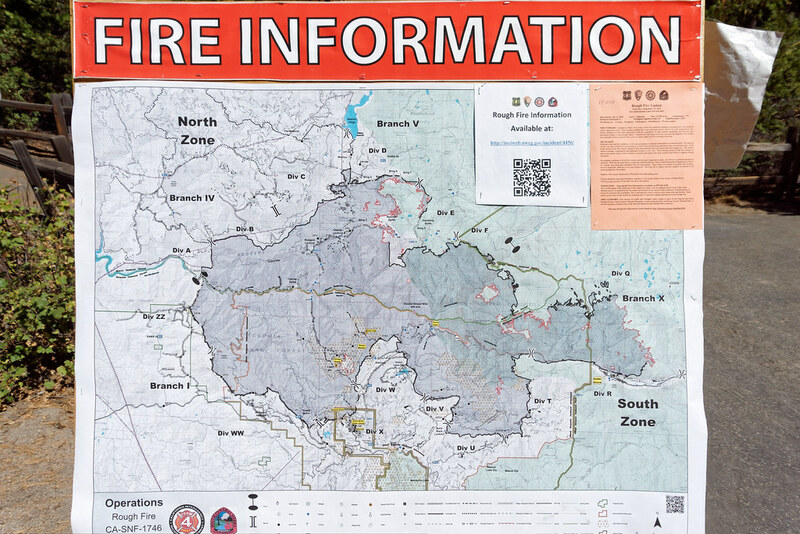 Detailed information on fees can be found here. 7-day admission ticket to the Sequoia National Park costs 10 USD (on foot, by bicycle or motorcycle) or 20 USD (by car). 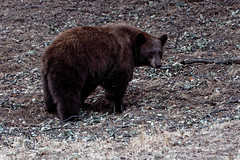 Detailed information on fees can be found here. Official map of Yosemite National Park can be found here. 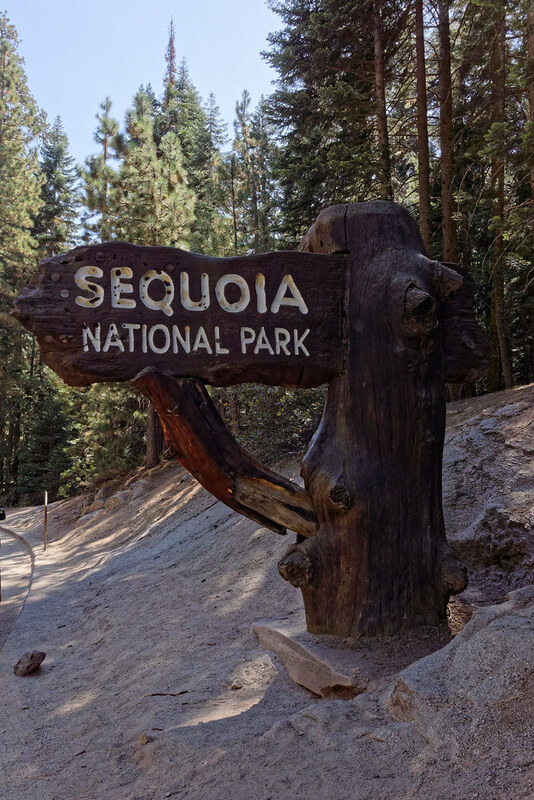 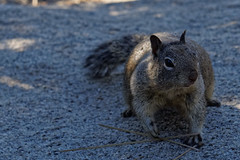 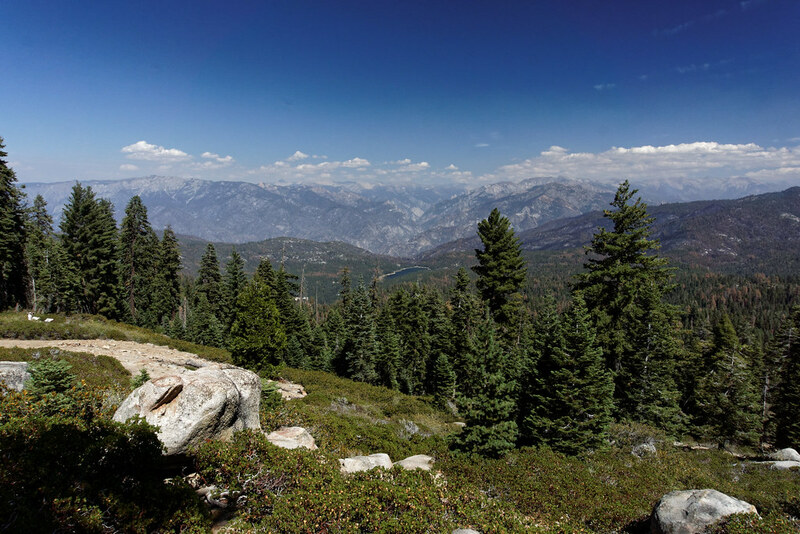 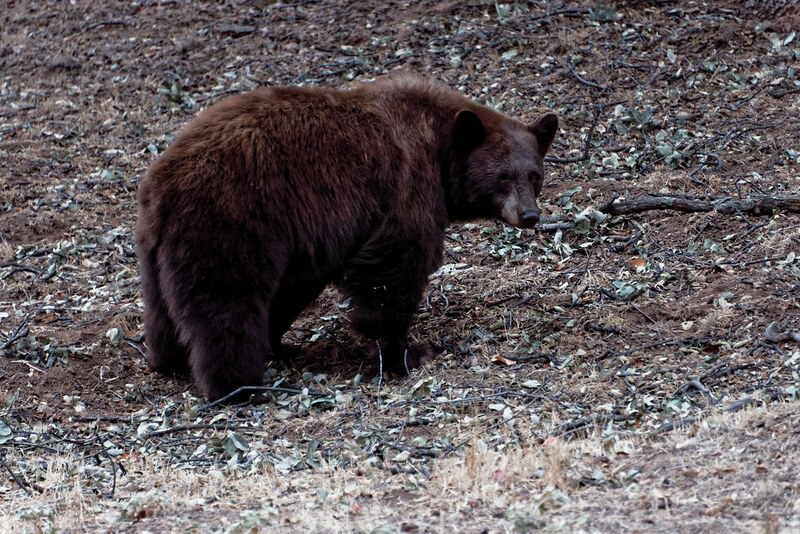 The official map of Sequoia National Park and Kings Canyon can be found here. 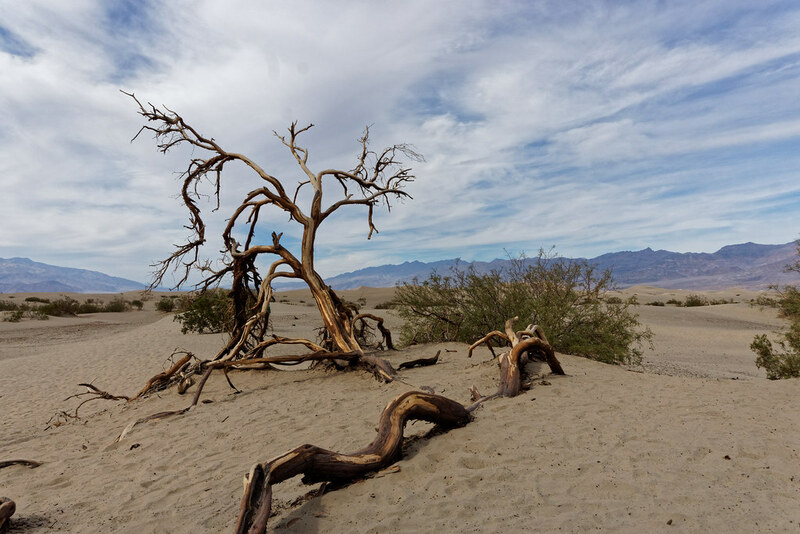 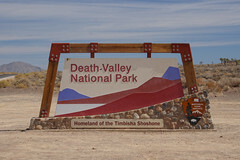 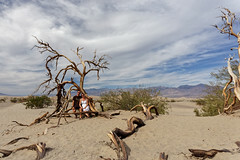 The official map of Death Valley National Park can be found here.